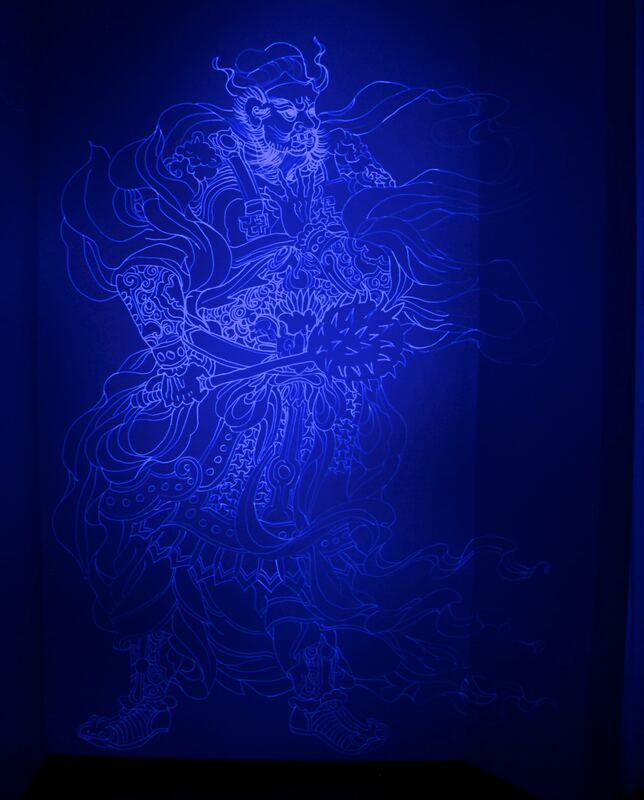 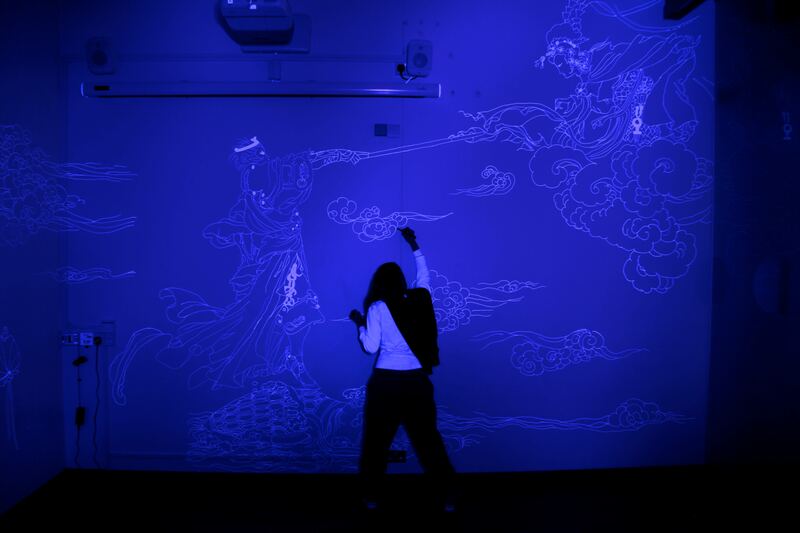 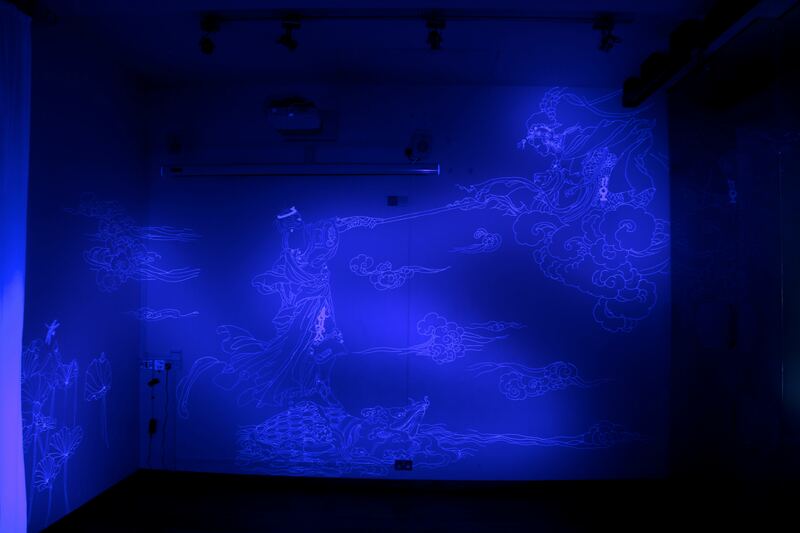 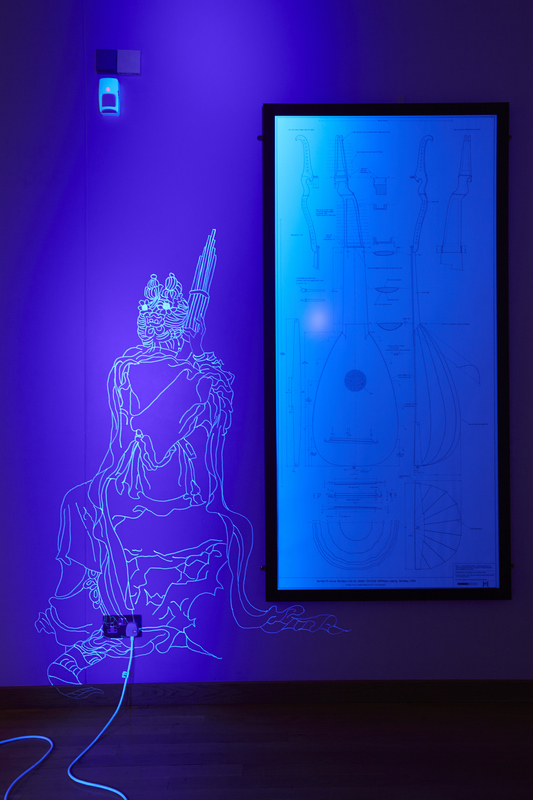 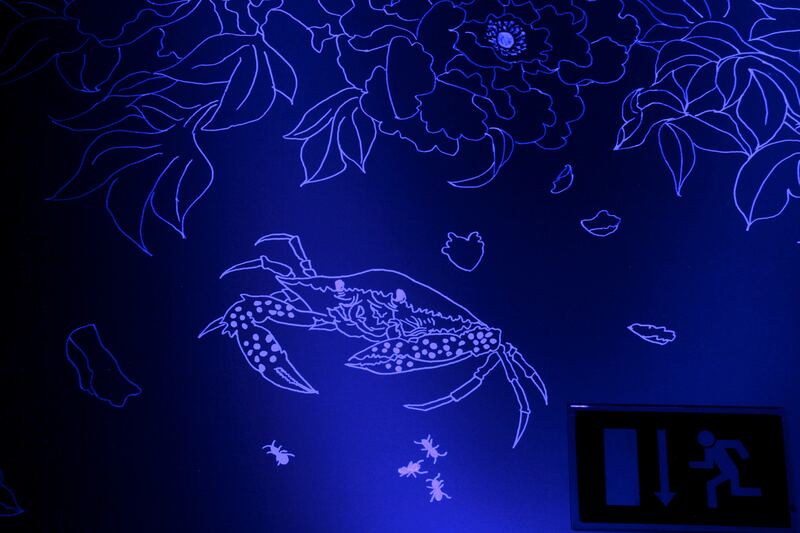 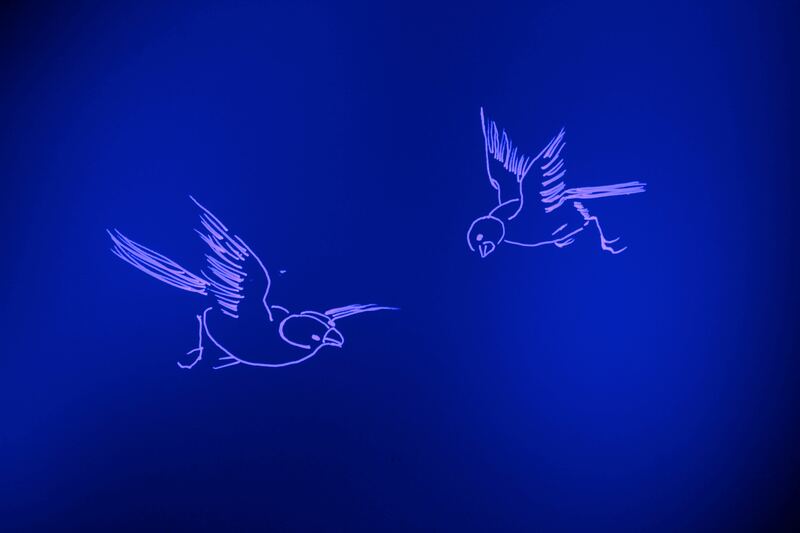 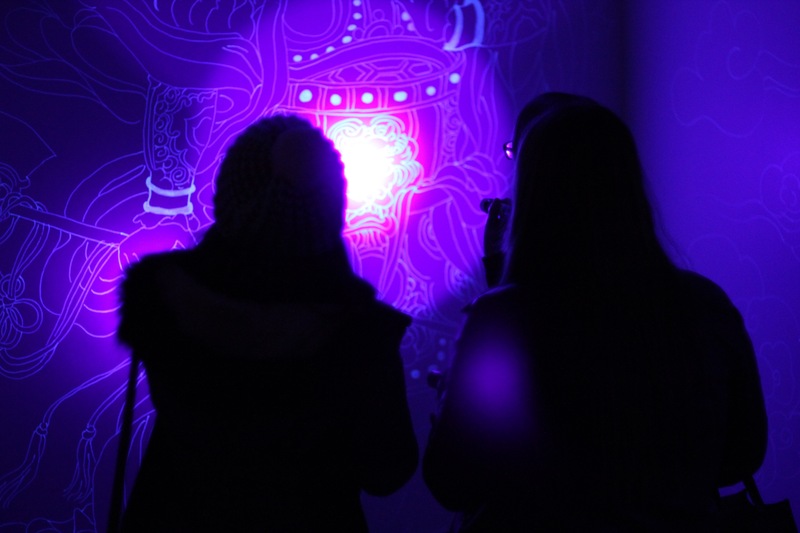 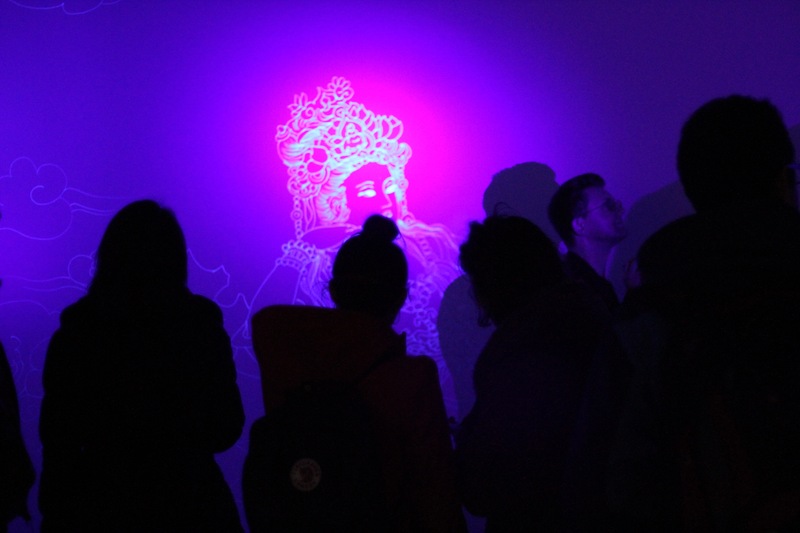 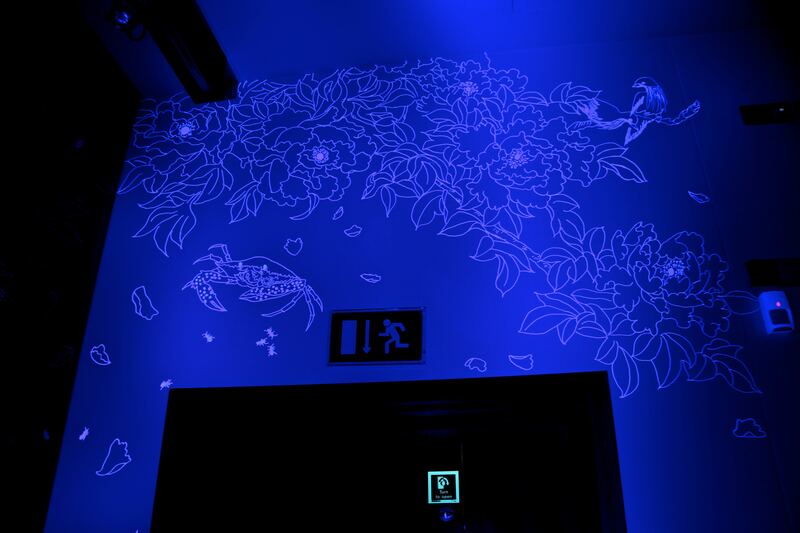 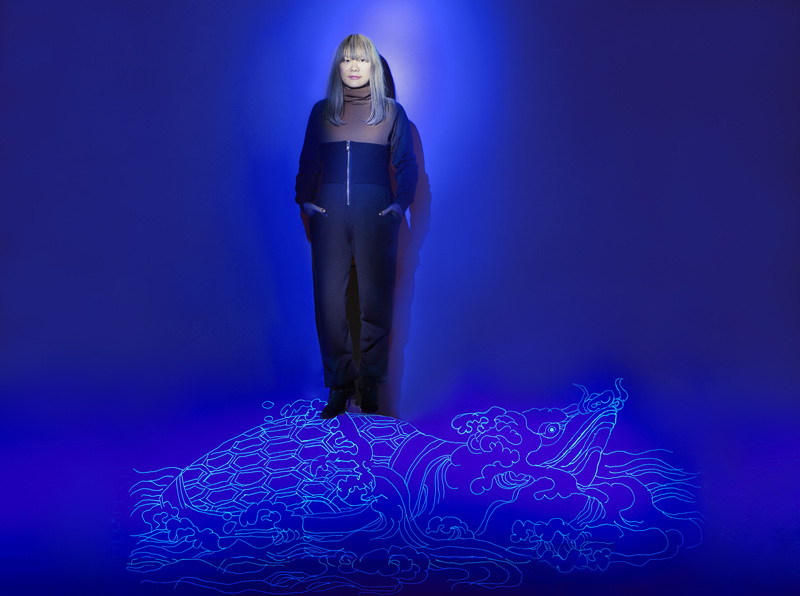 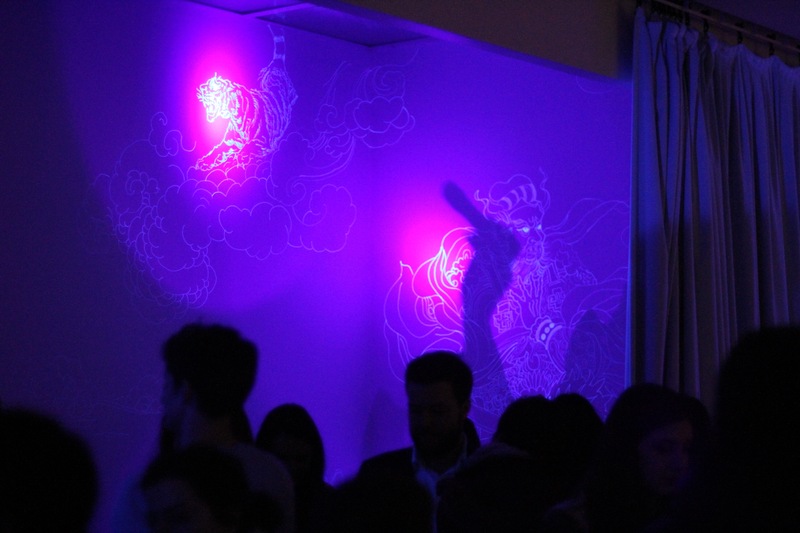 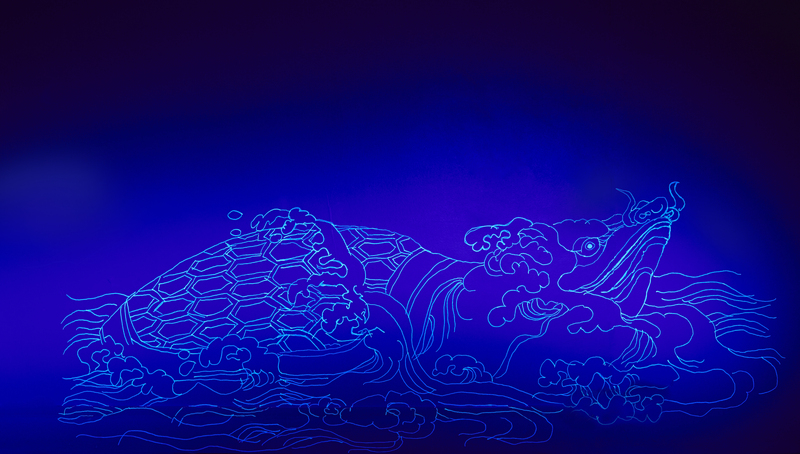 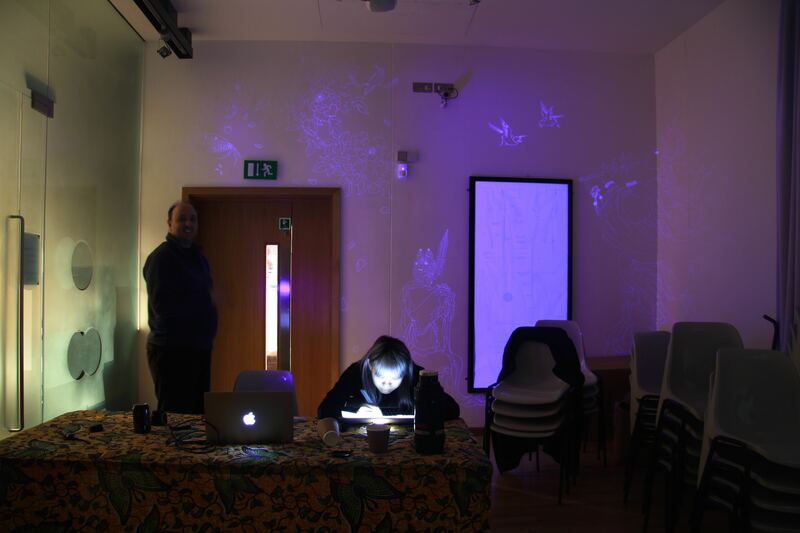 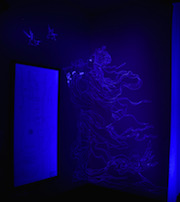 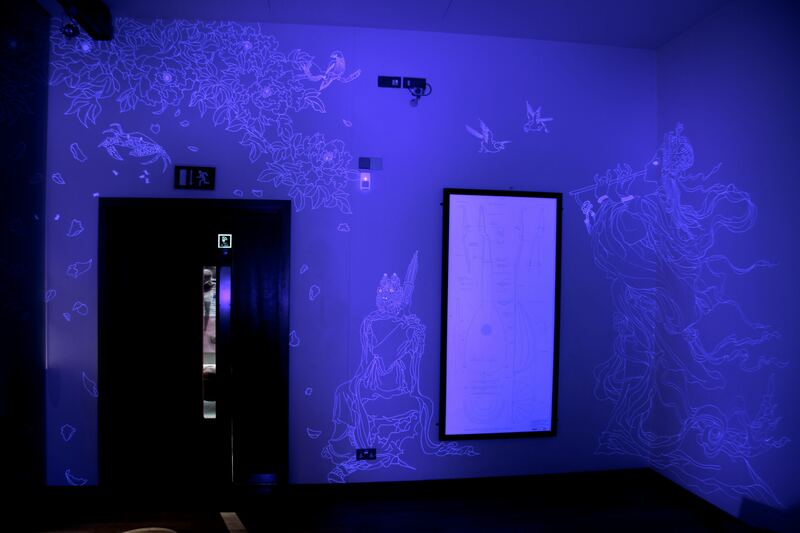 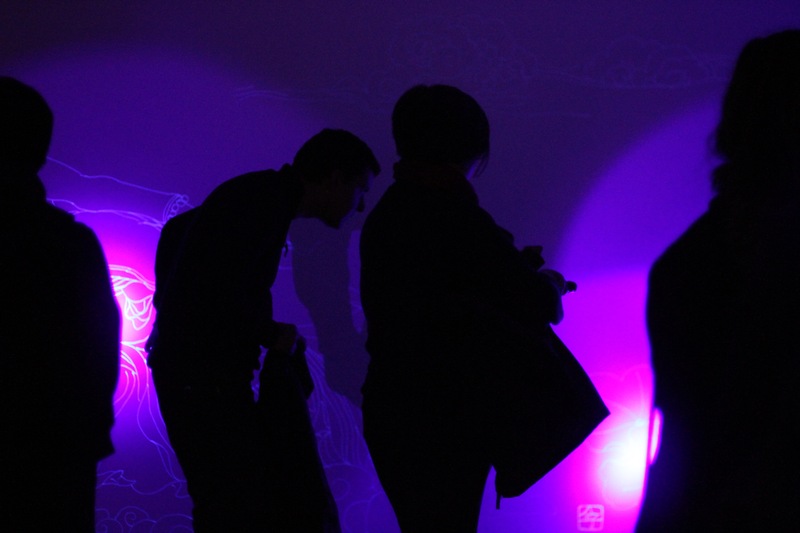 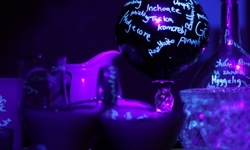 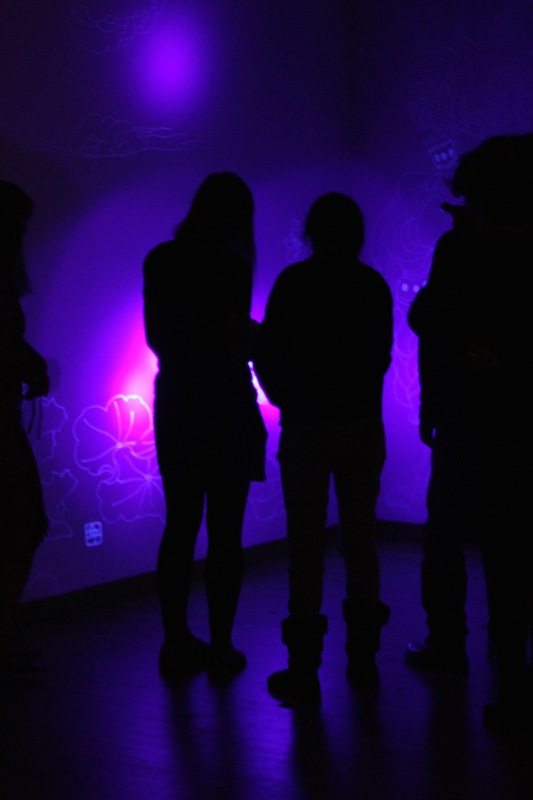 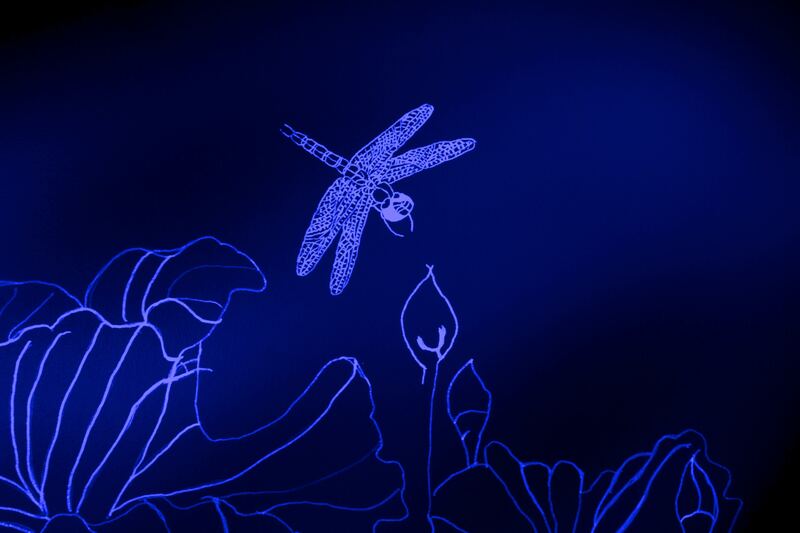 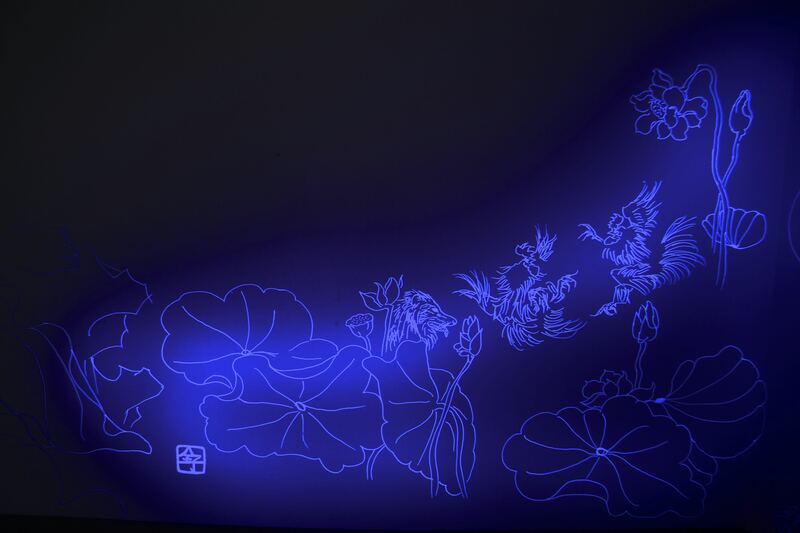 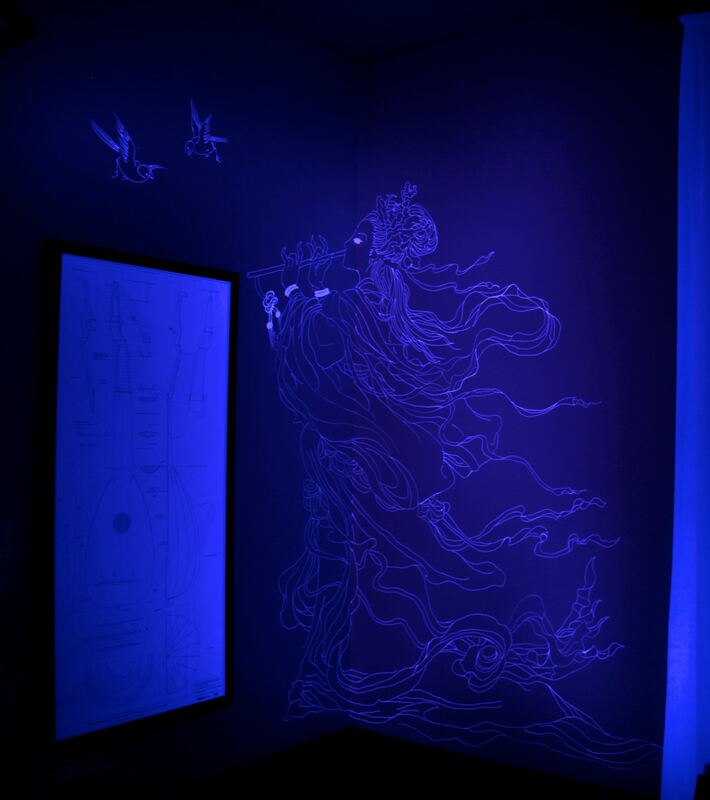 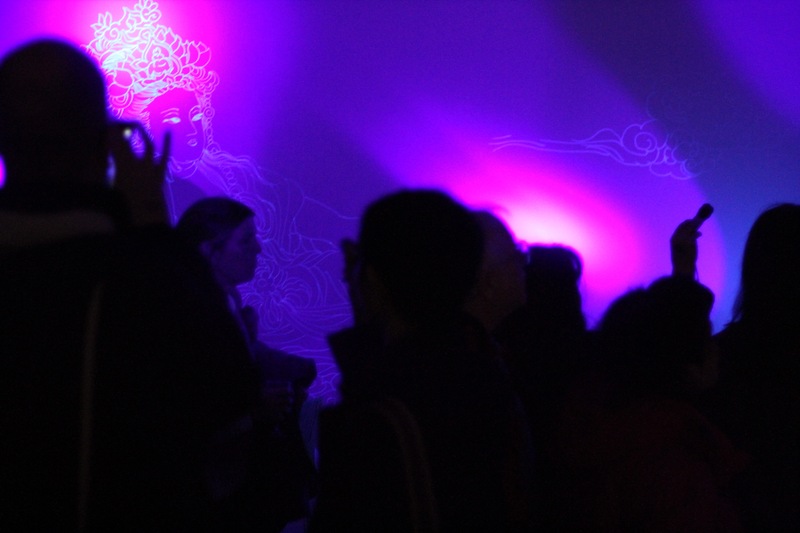 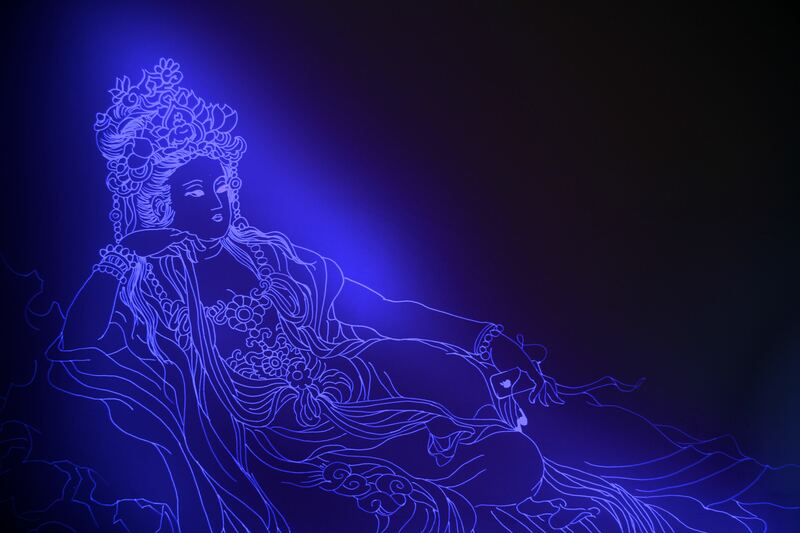 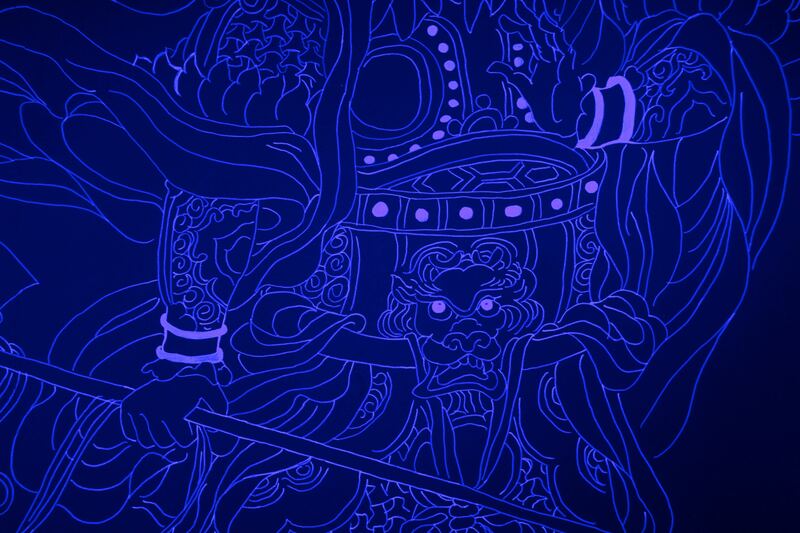 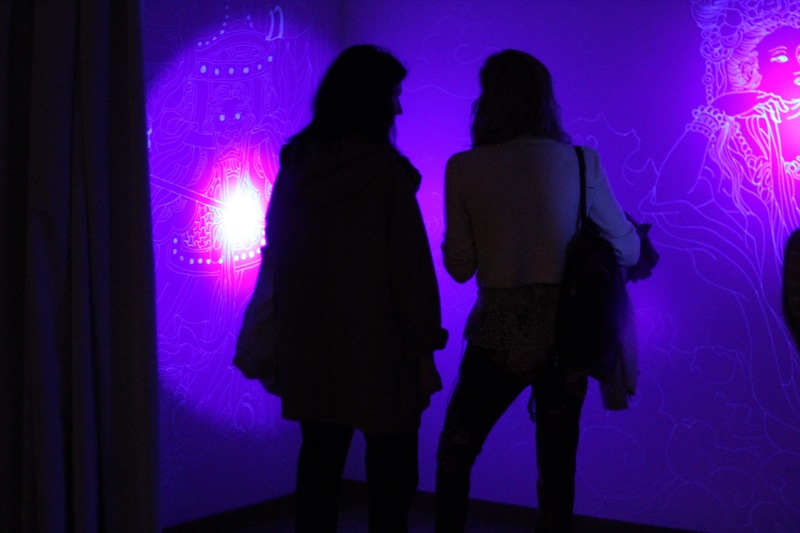 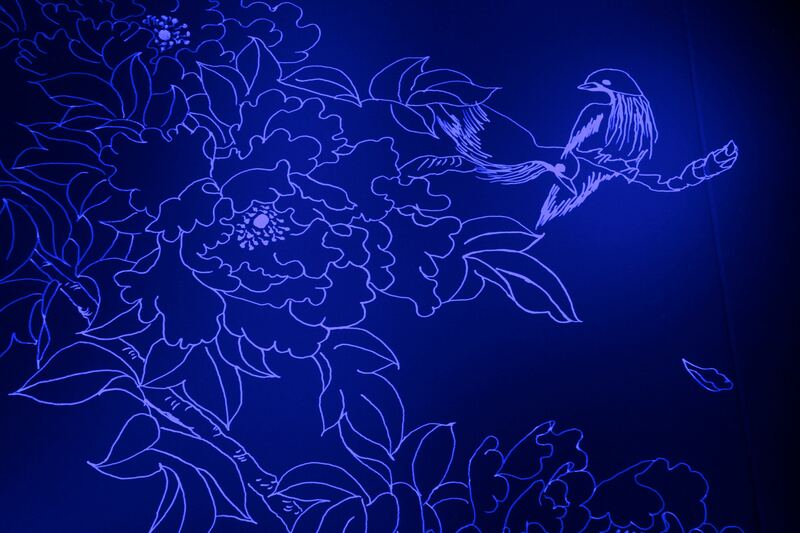 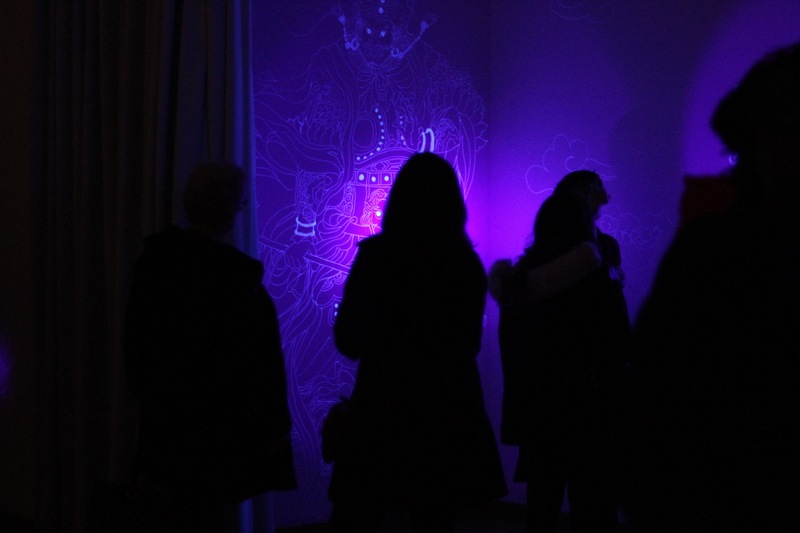 Commissioned by the award winning Horniman Museum and Gardens, Aowen created a secret and hidden magical world that is only visible under UV lights. 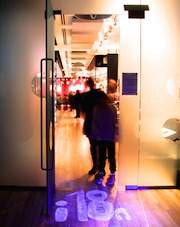 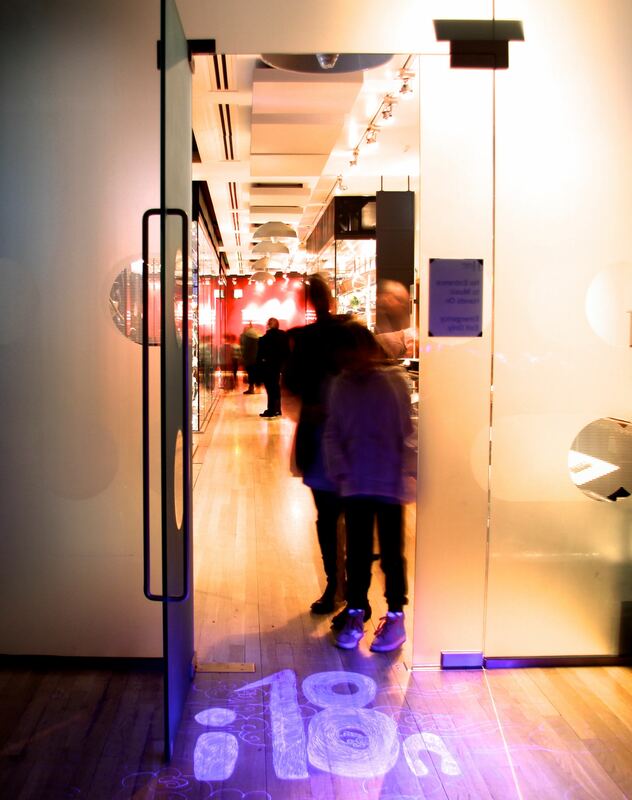 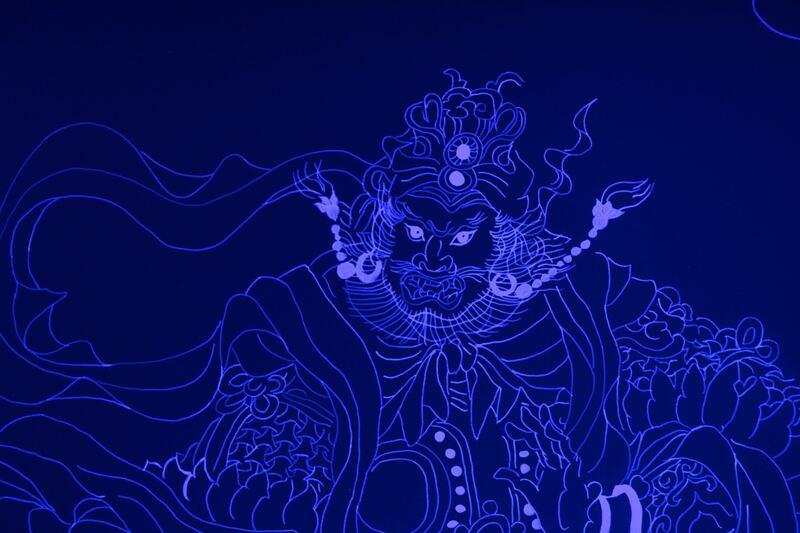 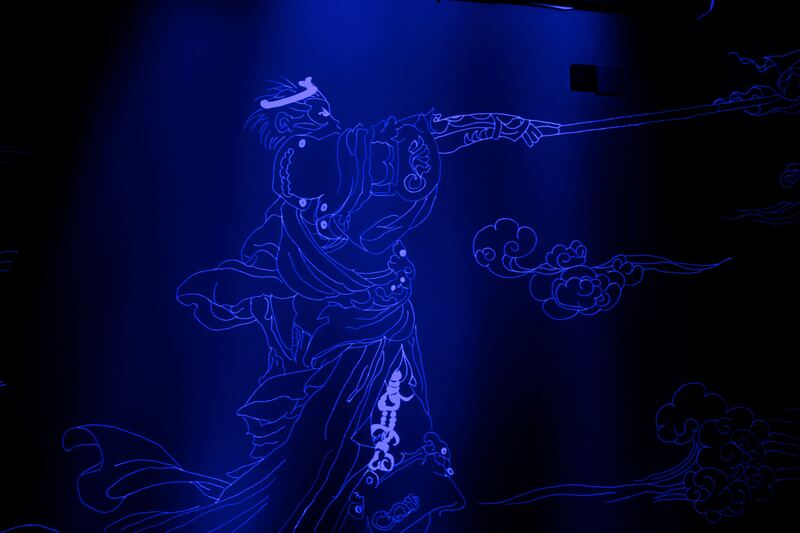 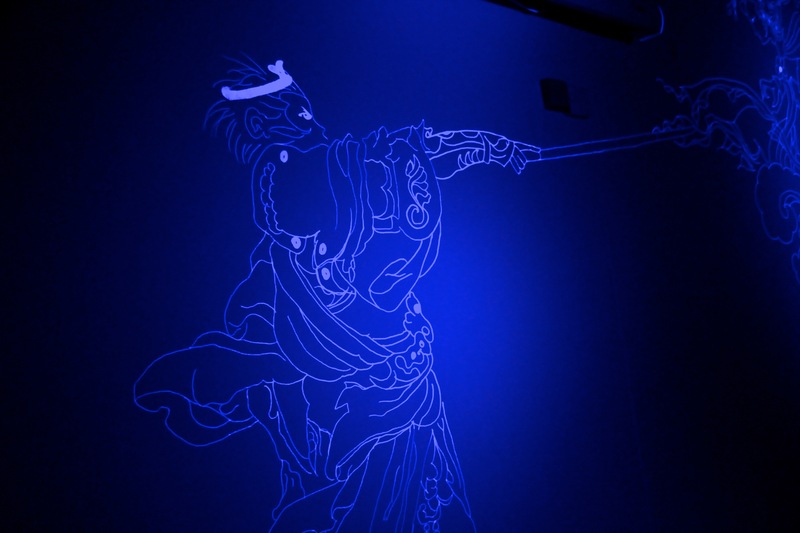 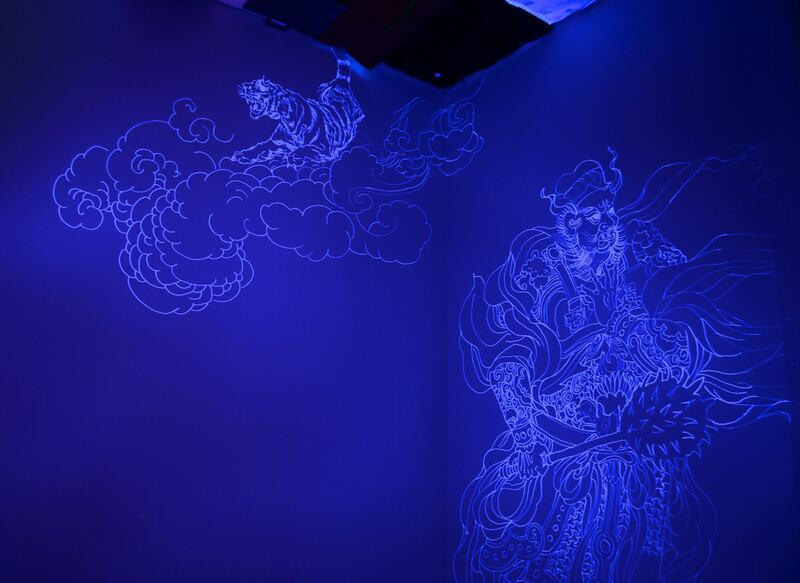 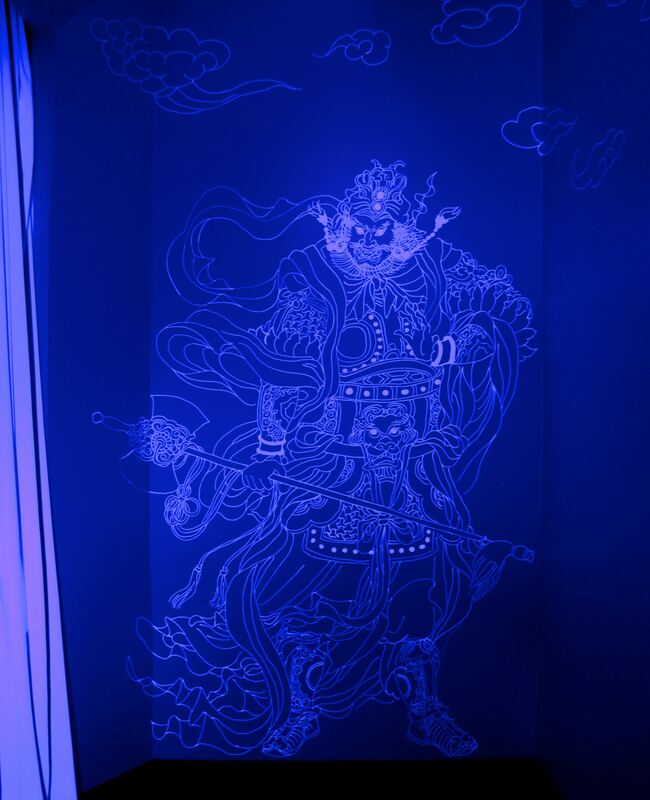 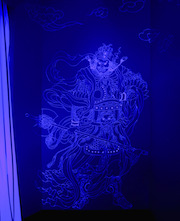 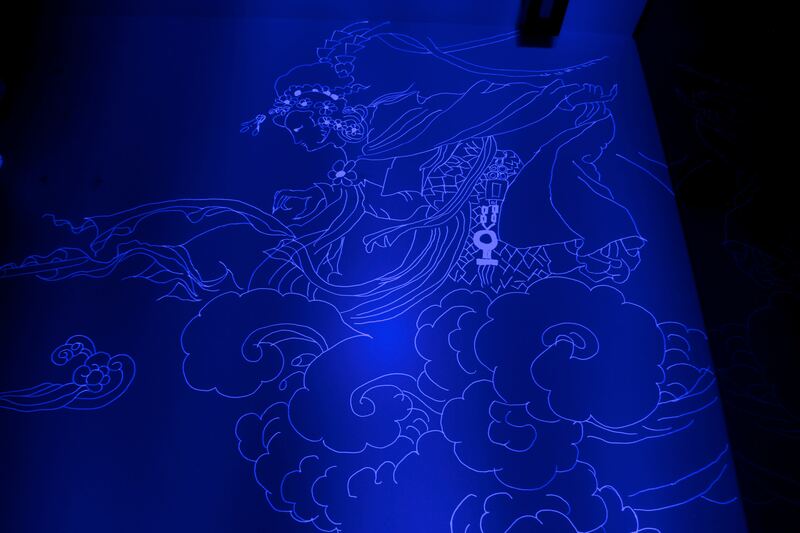 In i18n, Aowen covered the walls and floors of an entire 8m² space in the renowned Music Gallery with drawings that depict Chinese mythical stories with a contemporary tech twist. 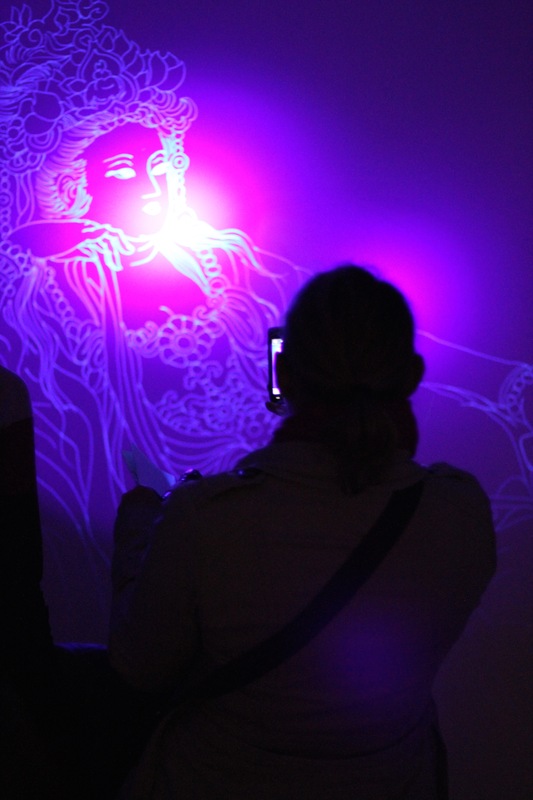 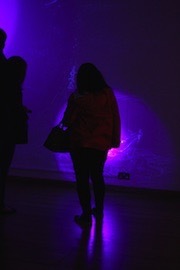 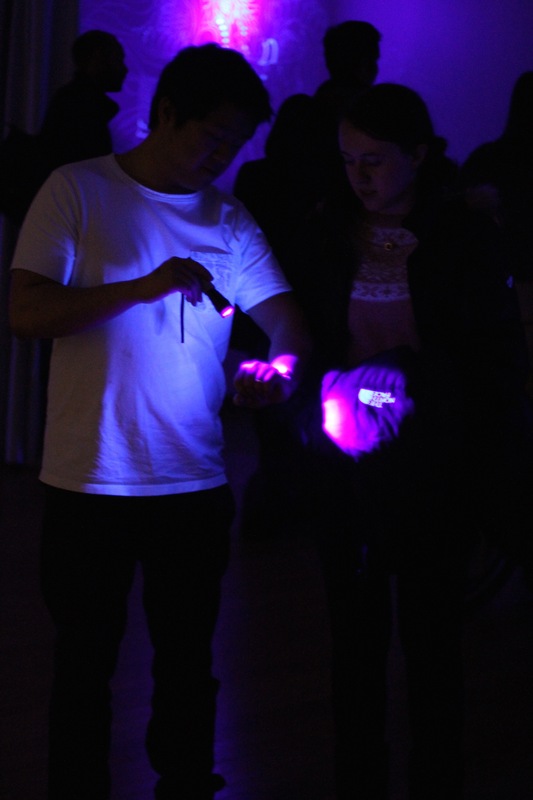 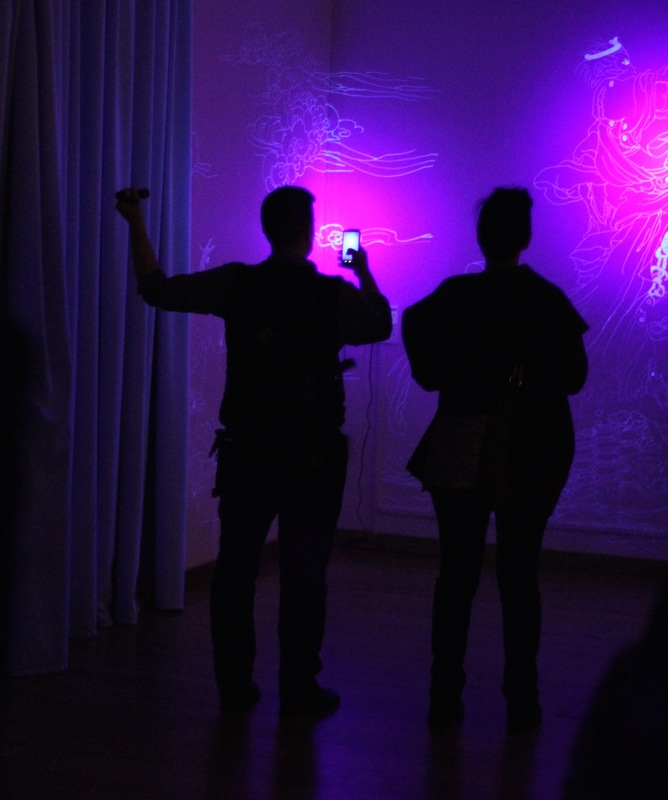 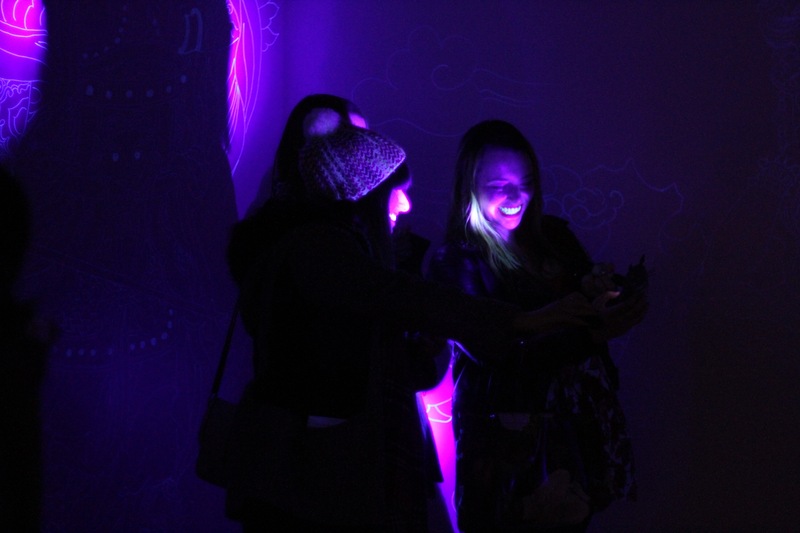 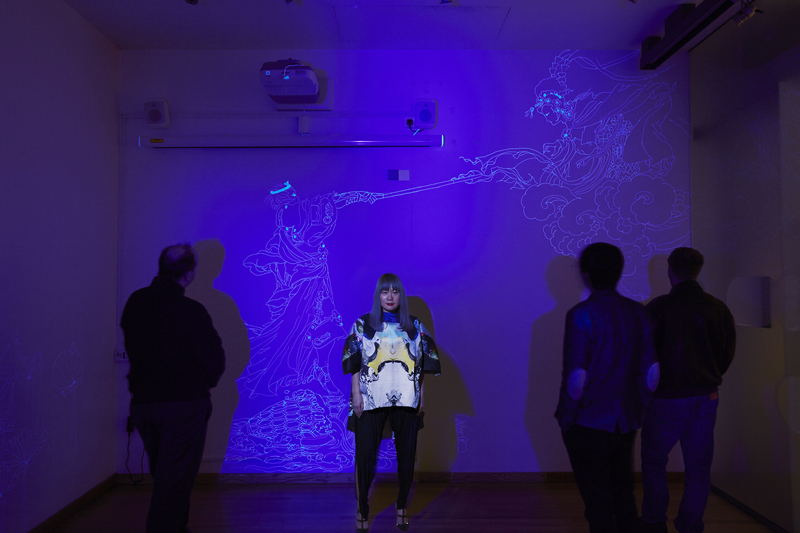 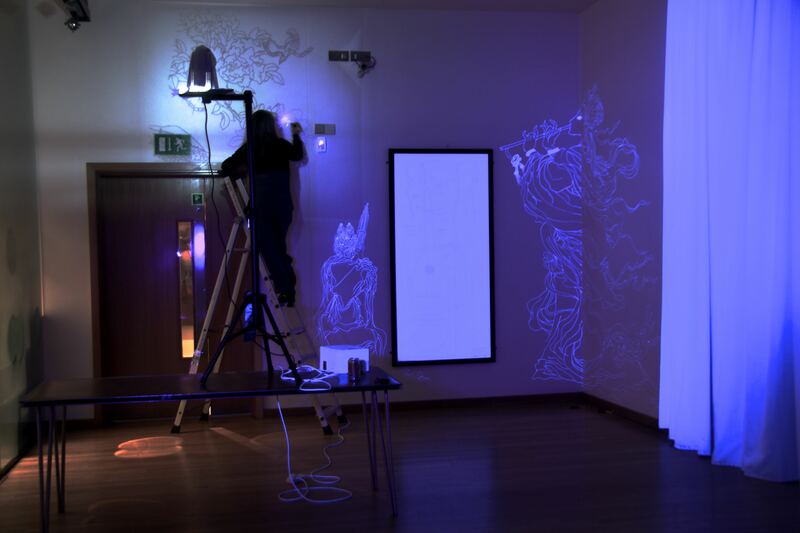 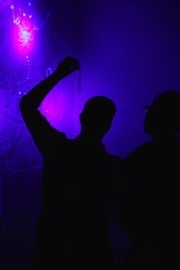 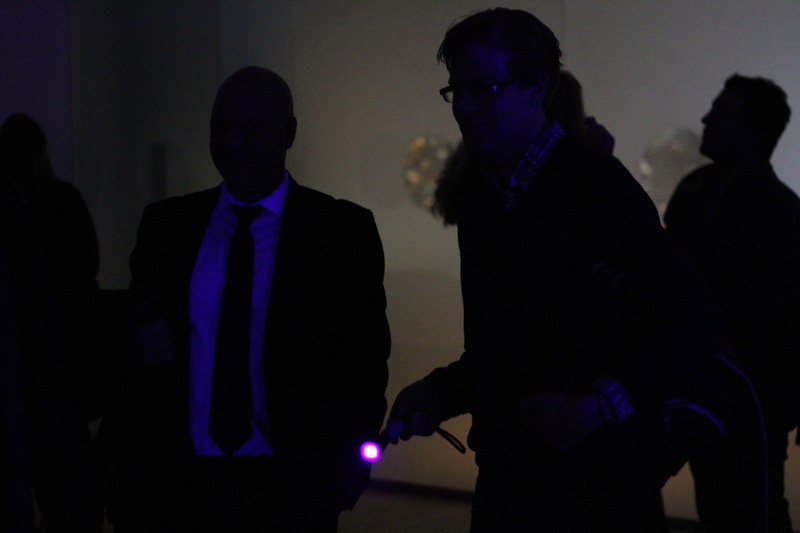 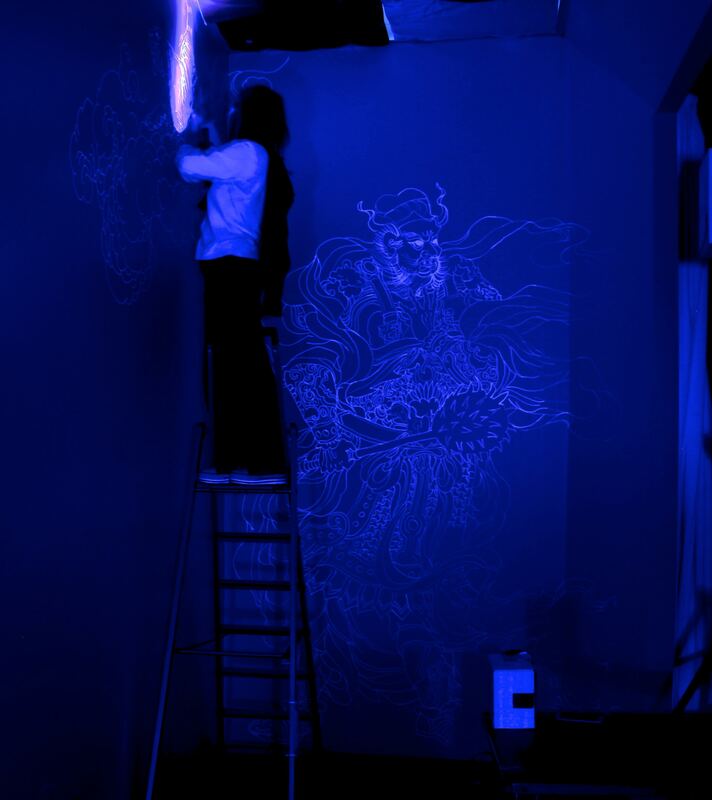 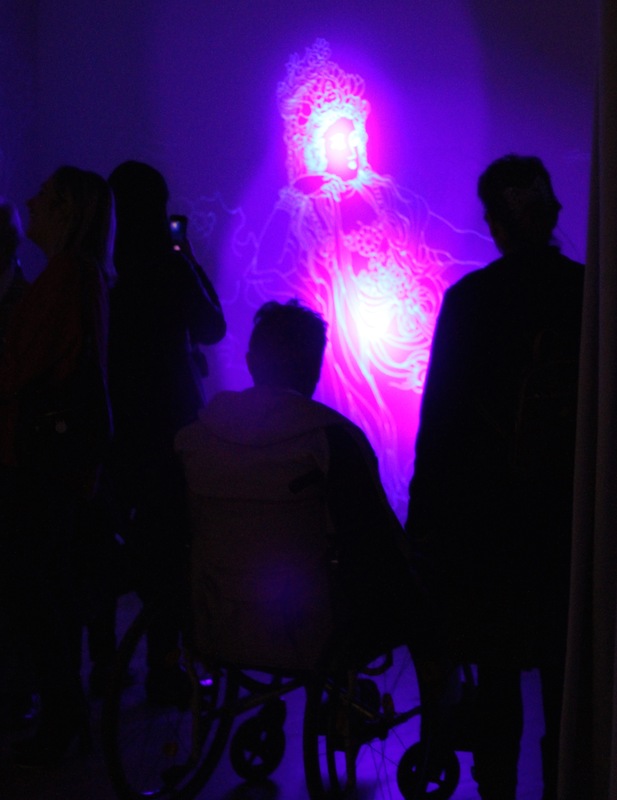 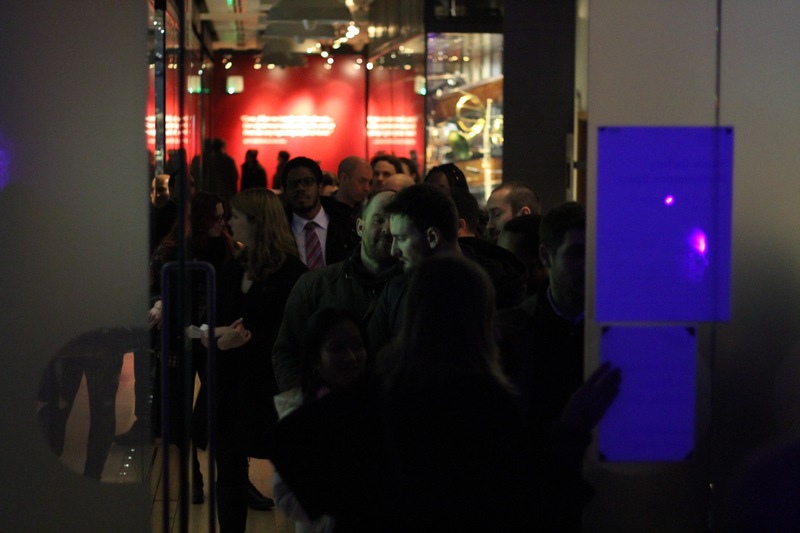 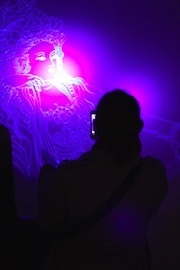 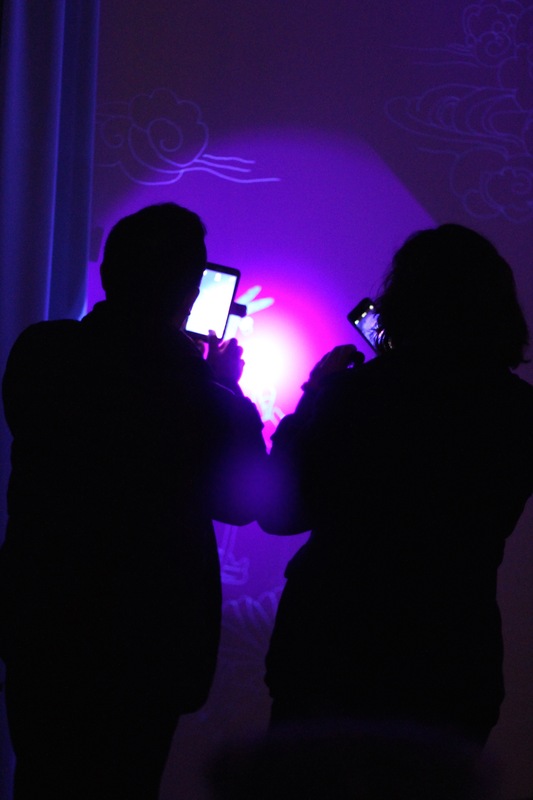 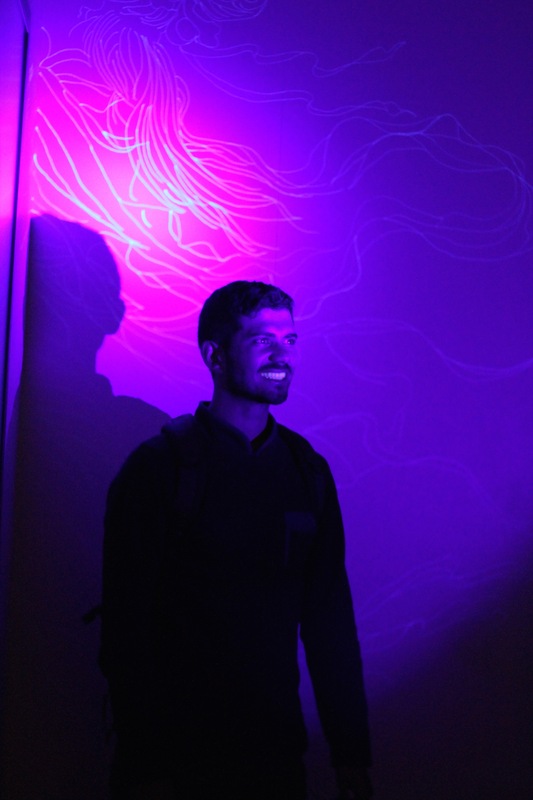 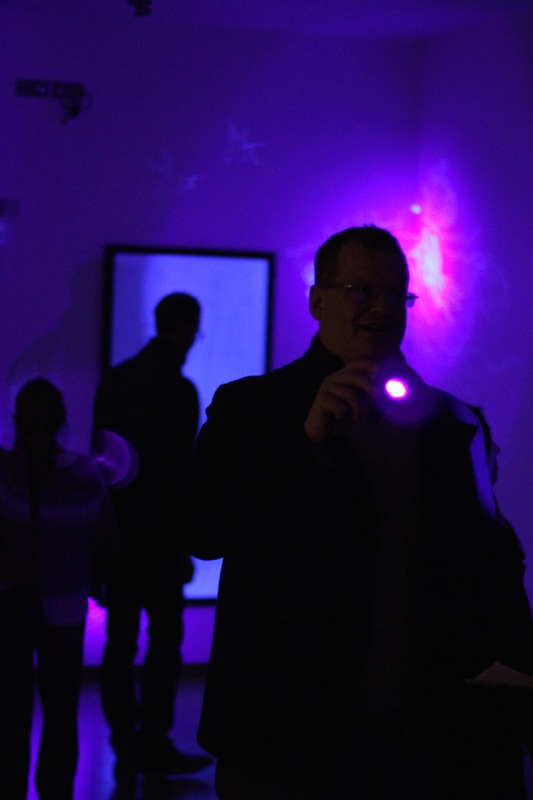 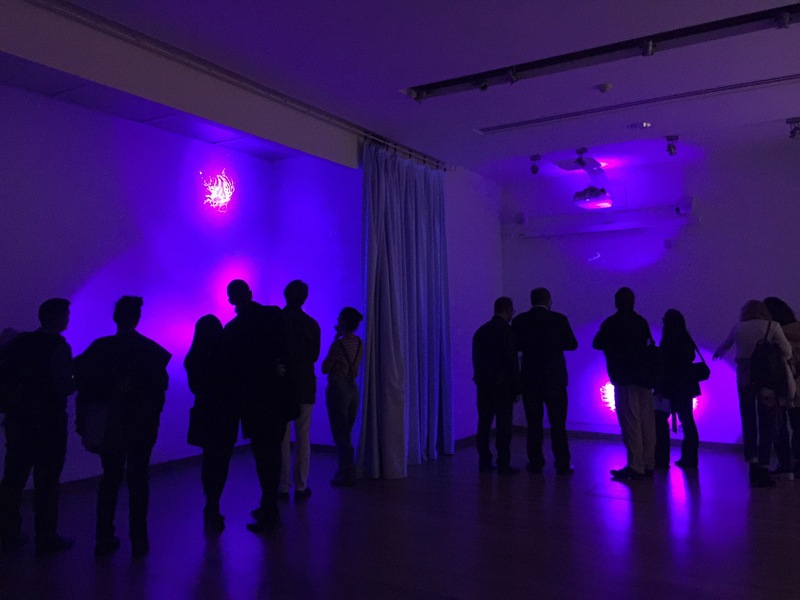 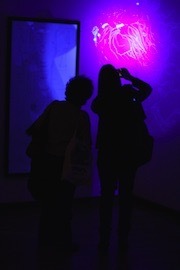 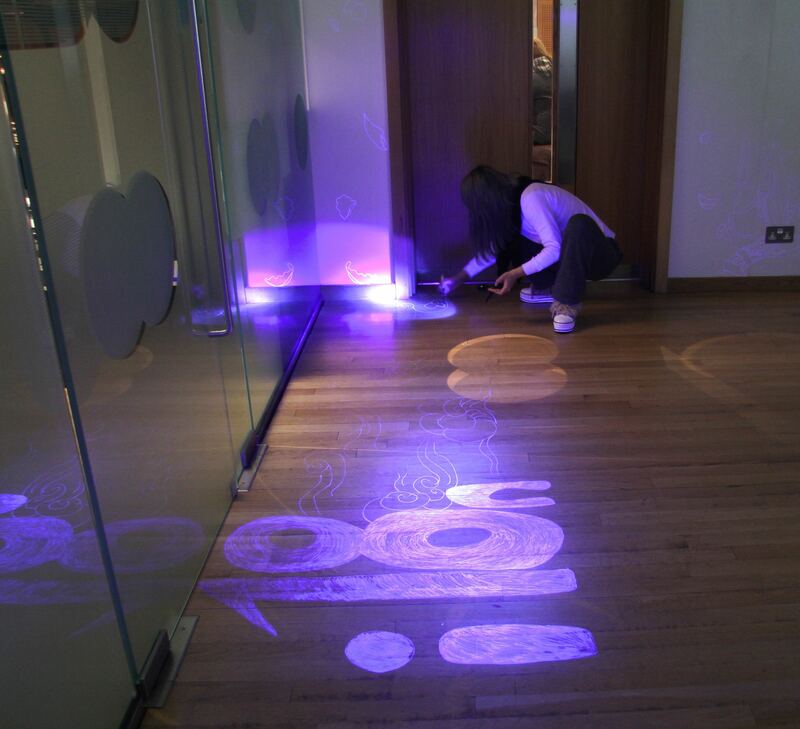 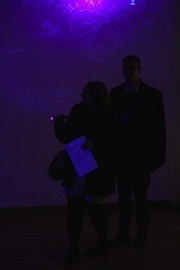 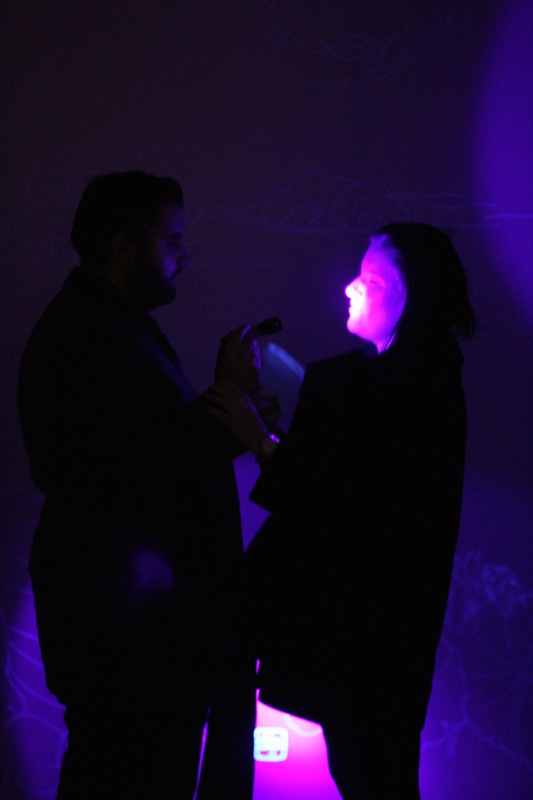 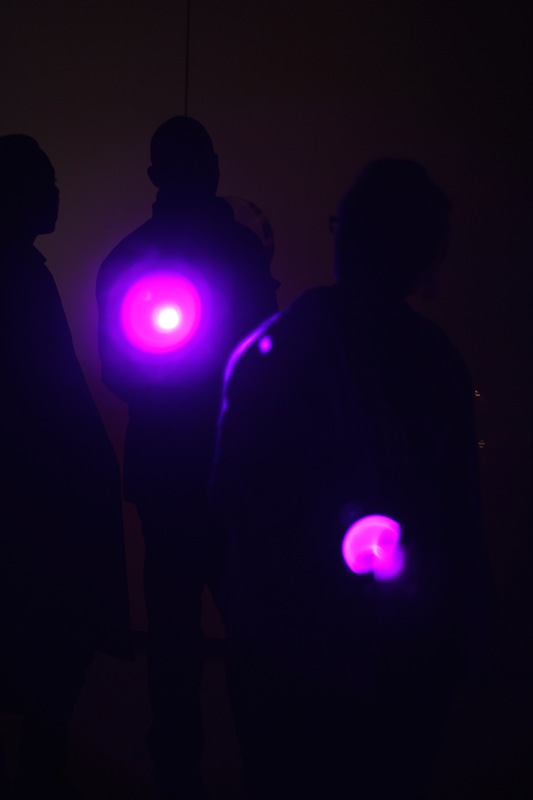 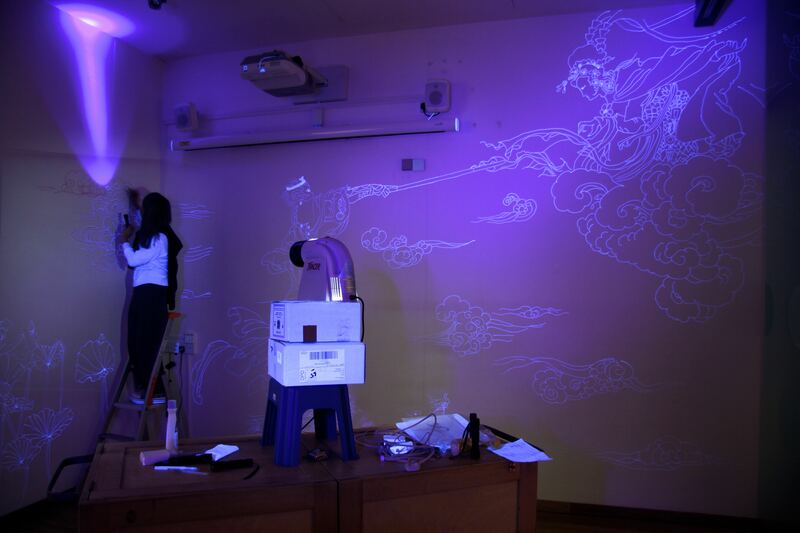 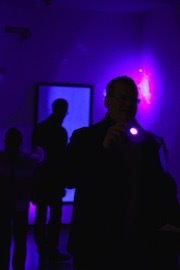 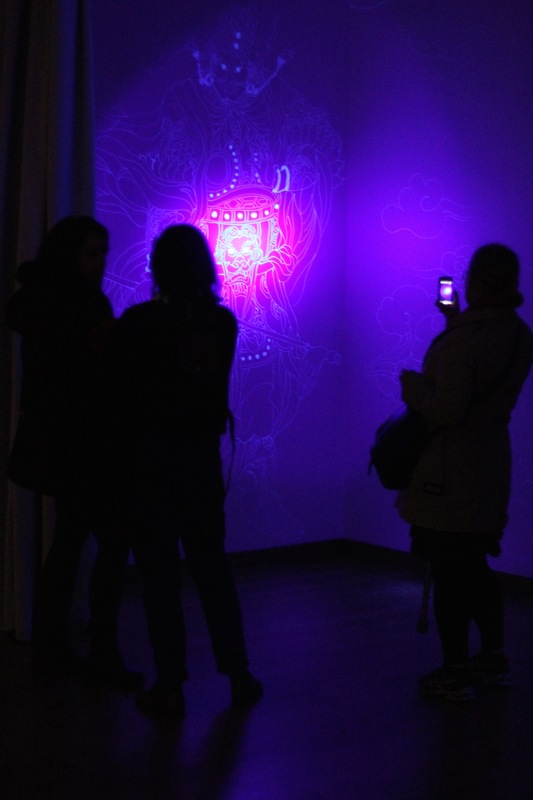 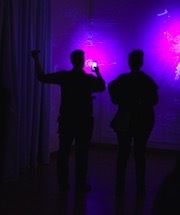 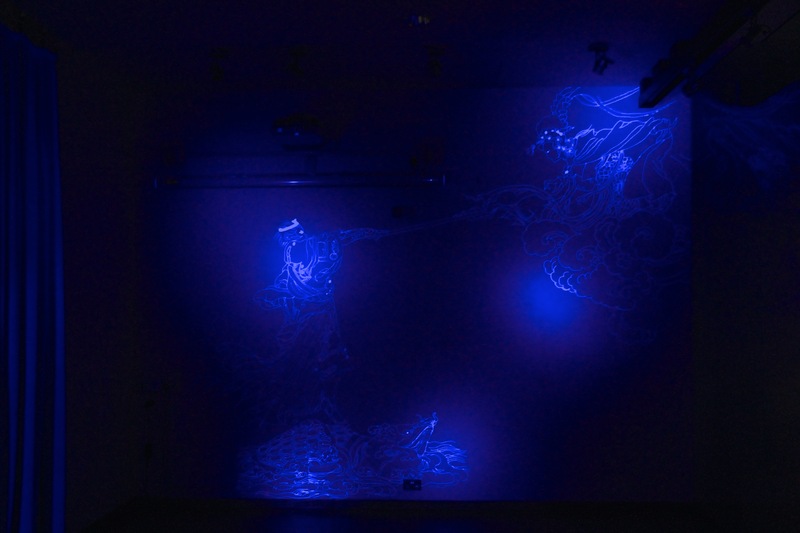 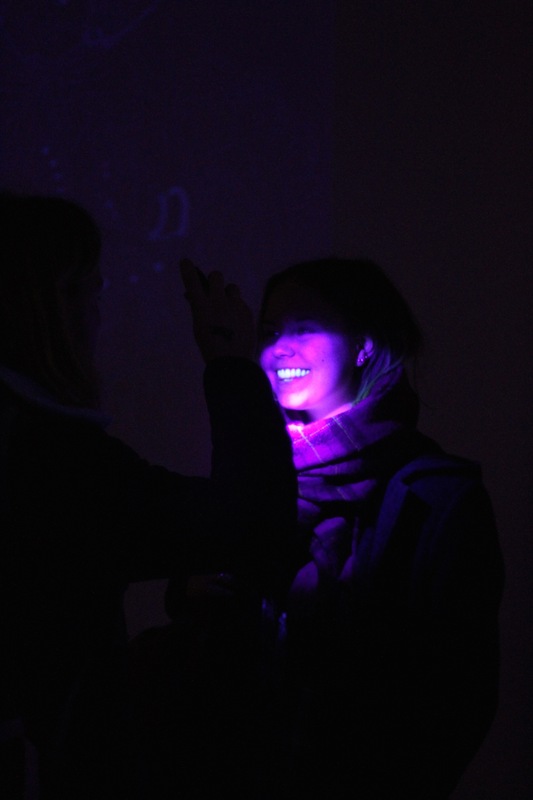 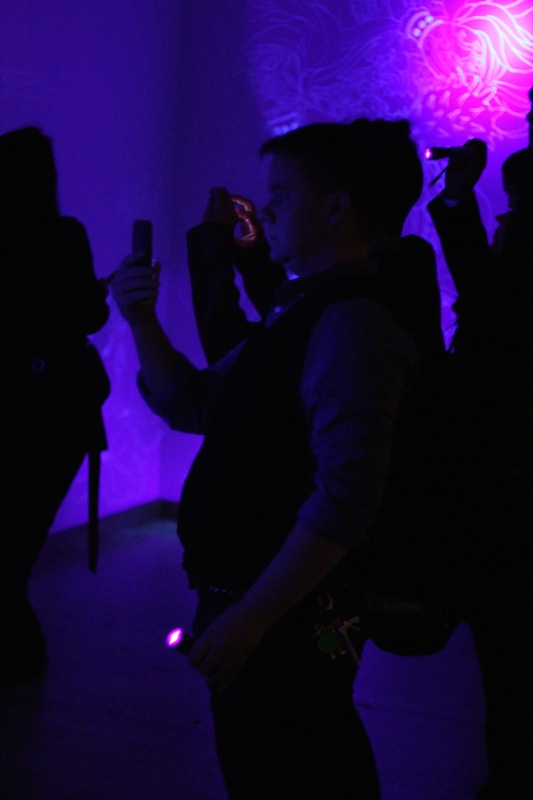 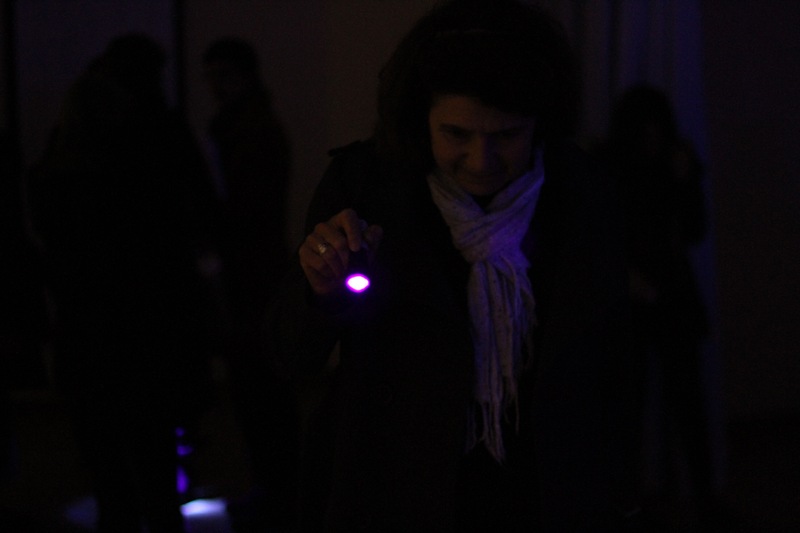 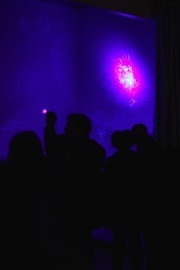 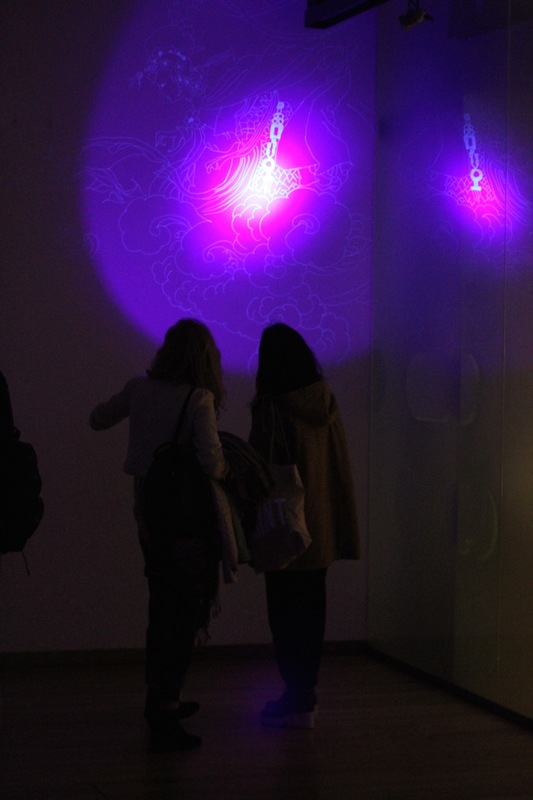 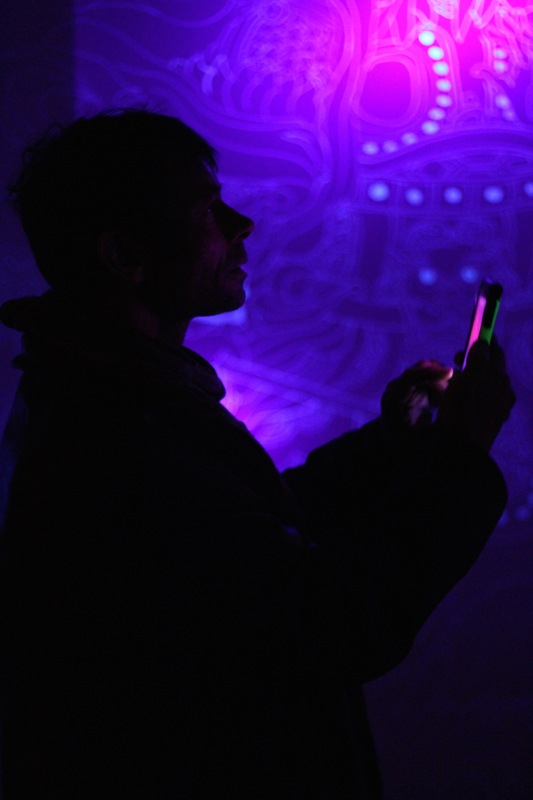 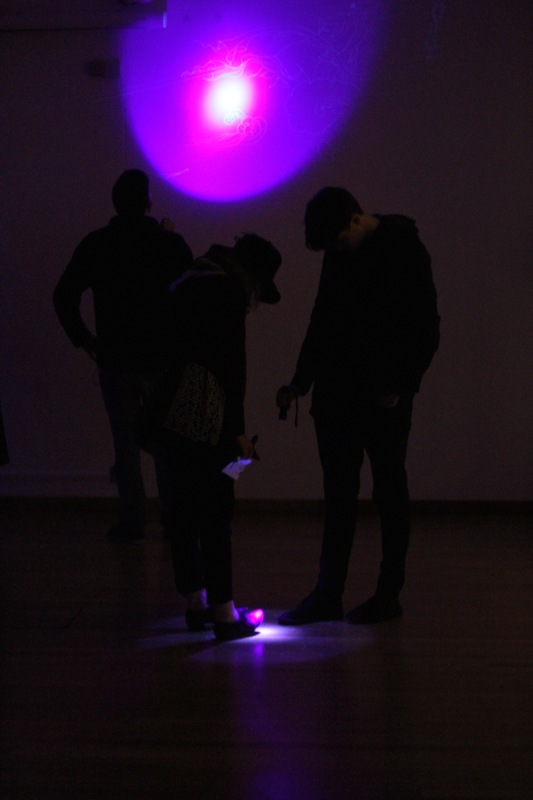 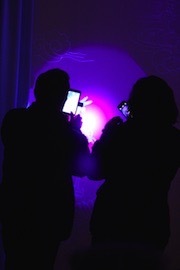 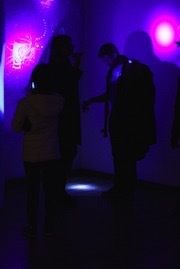 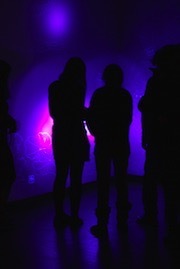 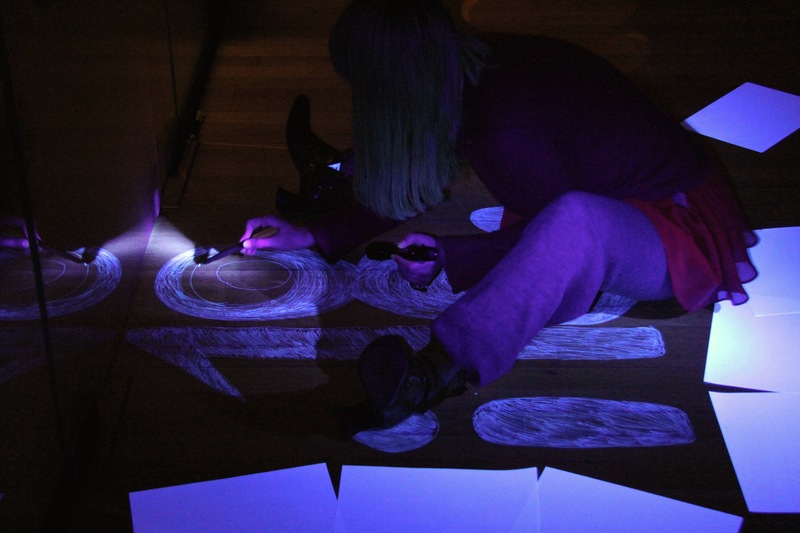 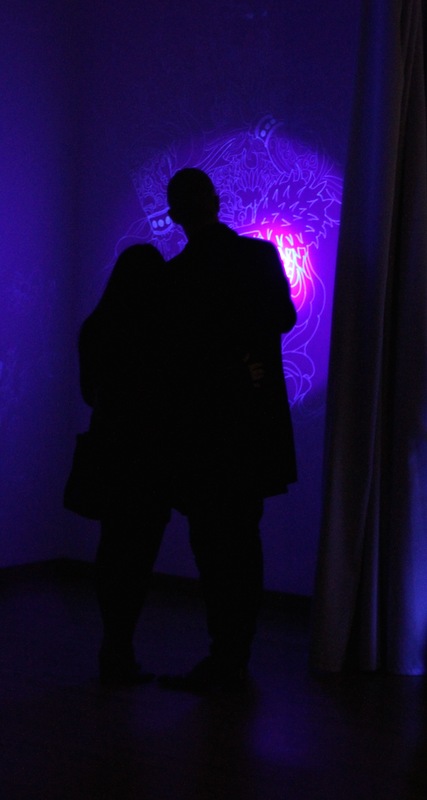 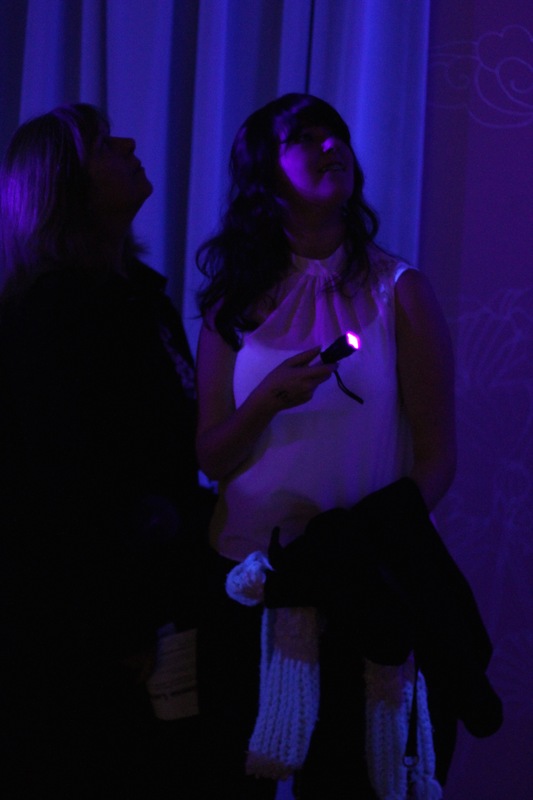 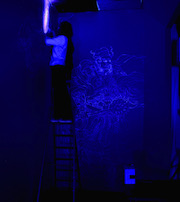 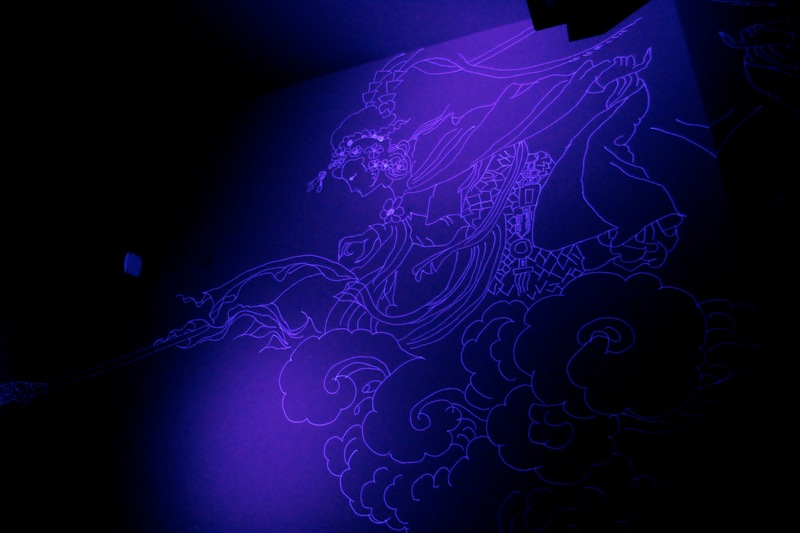 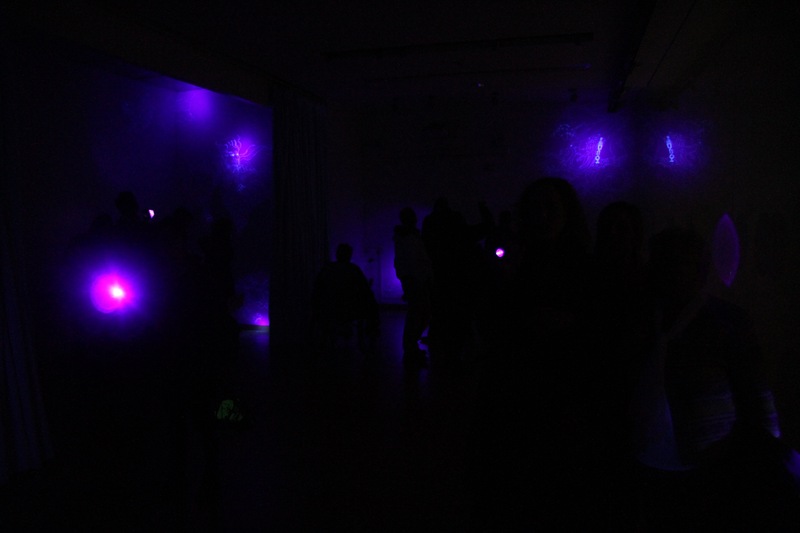 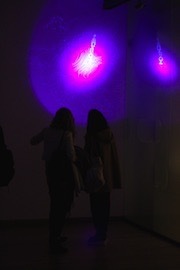 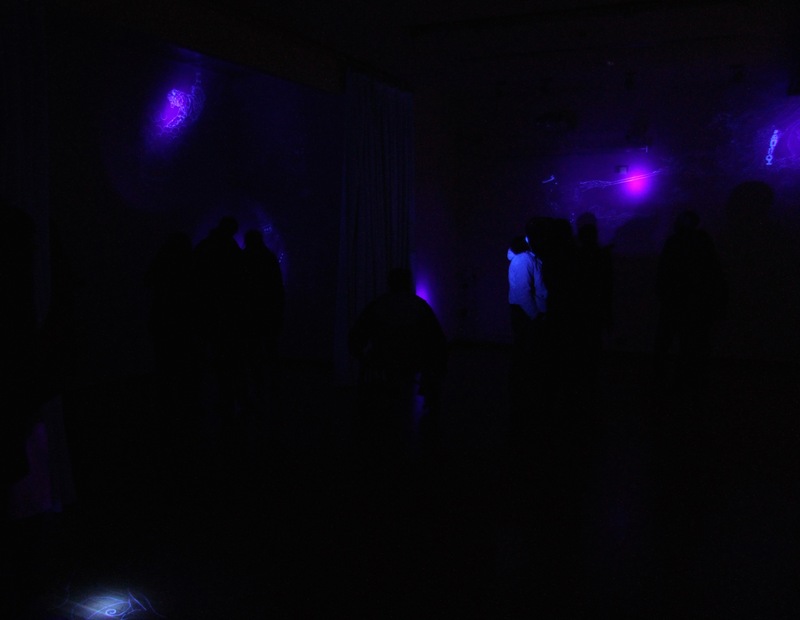 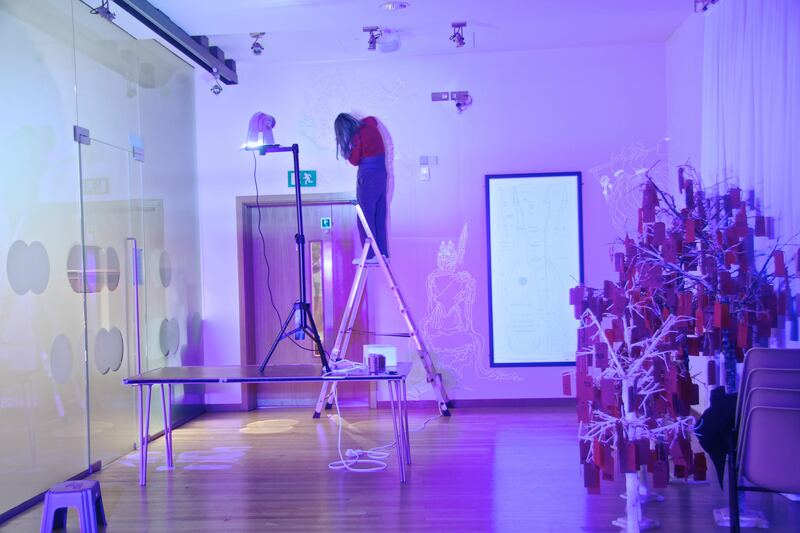 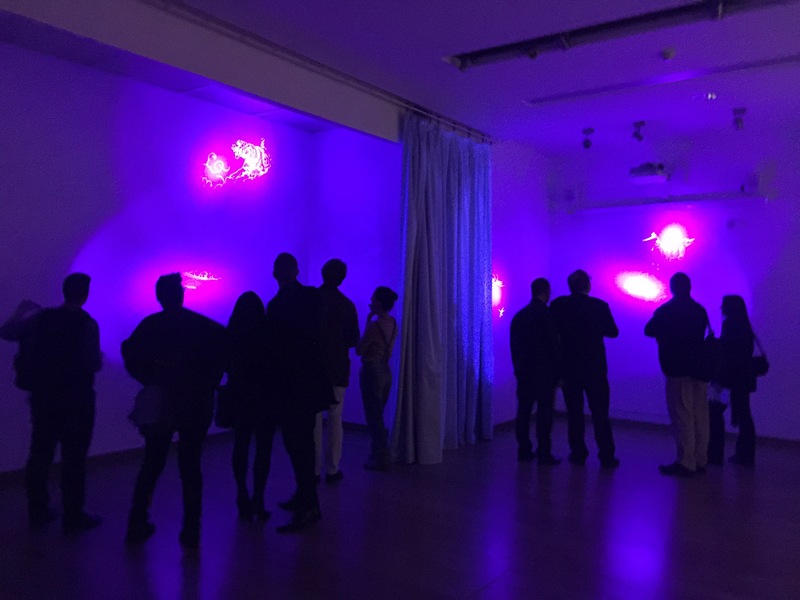 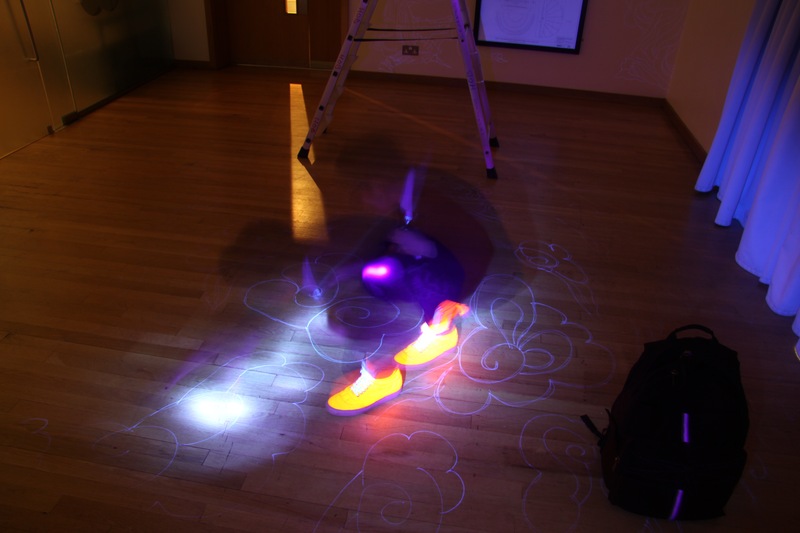 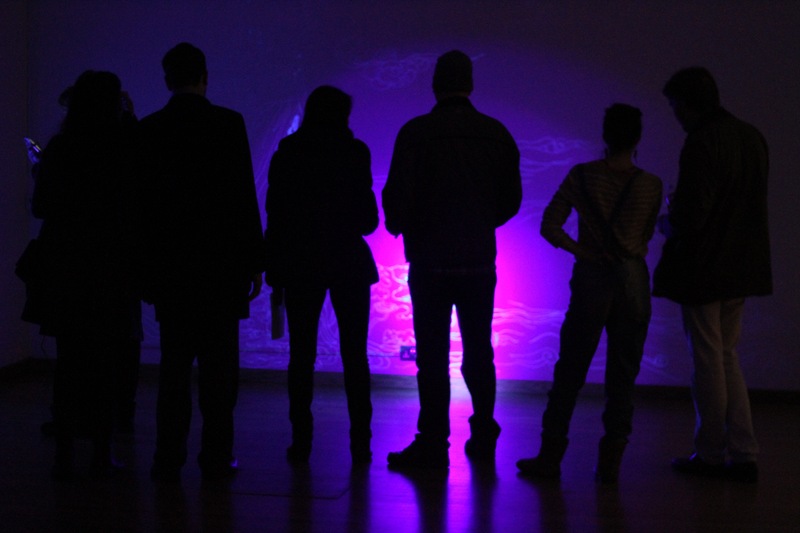 By asking the viewers to interact with the artworks using UV torches and forcing them to collaborate in order to reveal the narrative, Aowen challenges the current art culture which turns the audience into passive receivers of art. 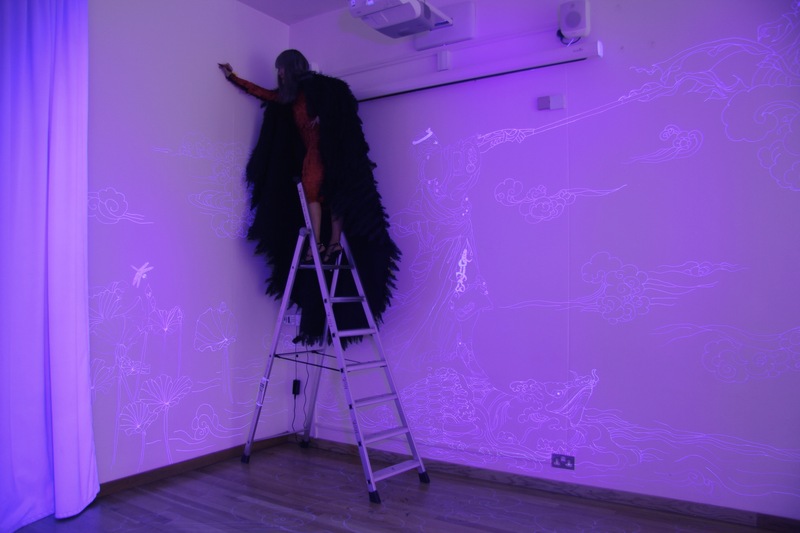 Given complete freedom to produce any artwork she wanted, Aowen drew inspiration from the internet, which transforms social views rapidly. 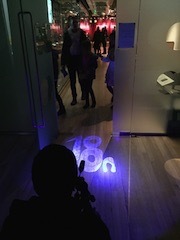 i18n is tech shorthand for "internationalization". 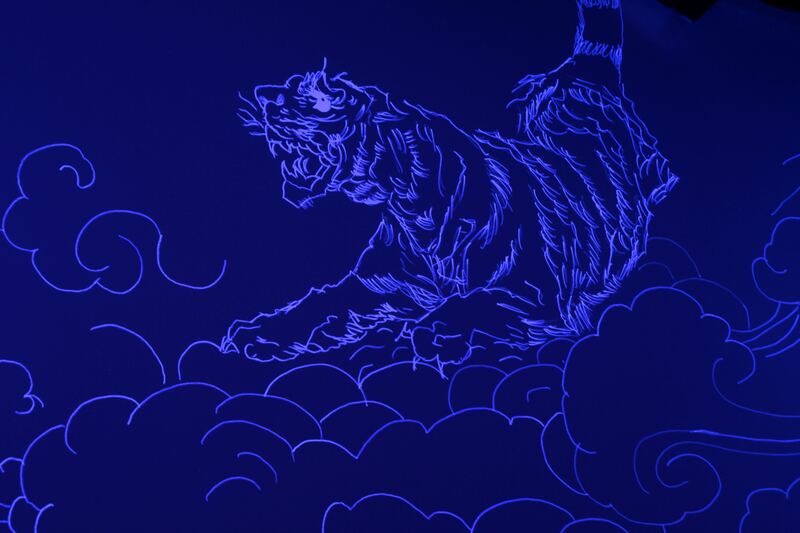 With swift economic progress, China’s rich and diverse traditional culture is disappearing from contemporary China, to be replaced by cars, handbags and CG'ed blockbuster films. 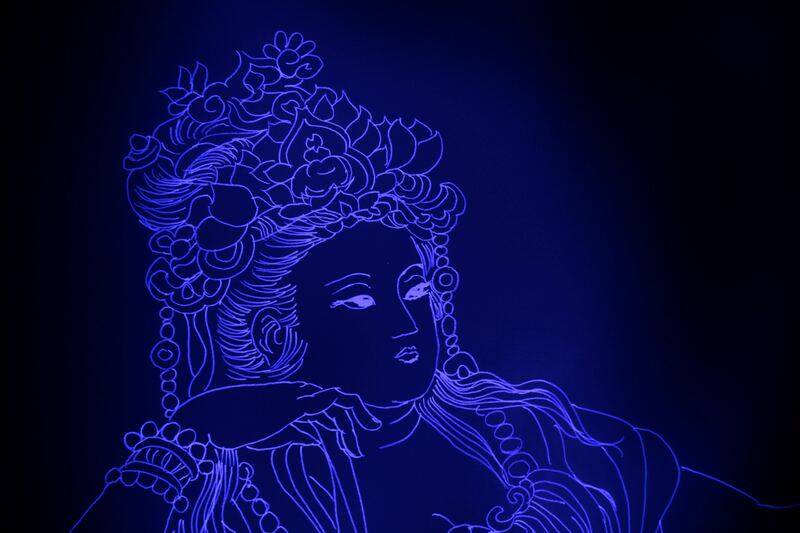 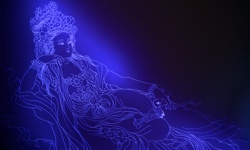 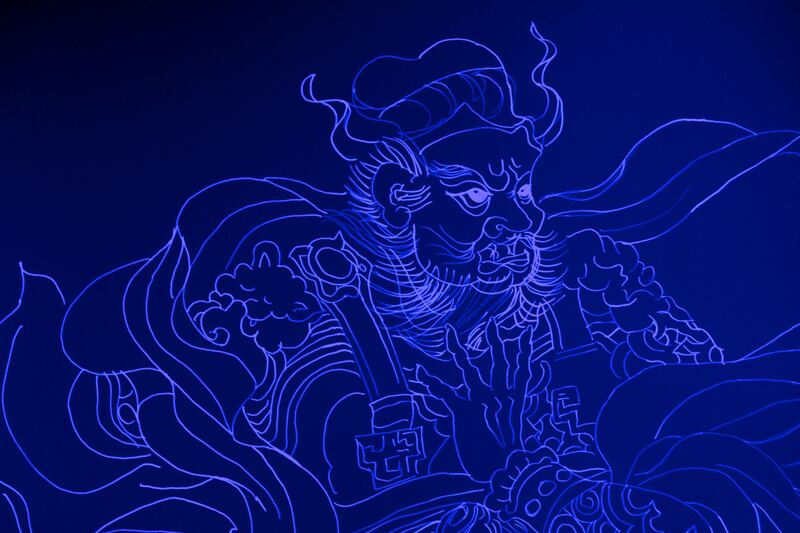 Her drawings bring everyone's attention back to powerful art works and cultural relics like the Mogao Caves - the very things that attracted the West to China in the first place. 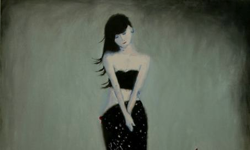 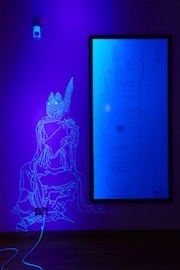 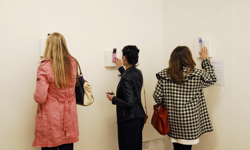 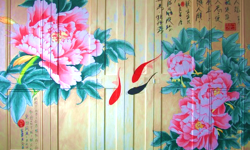 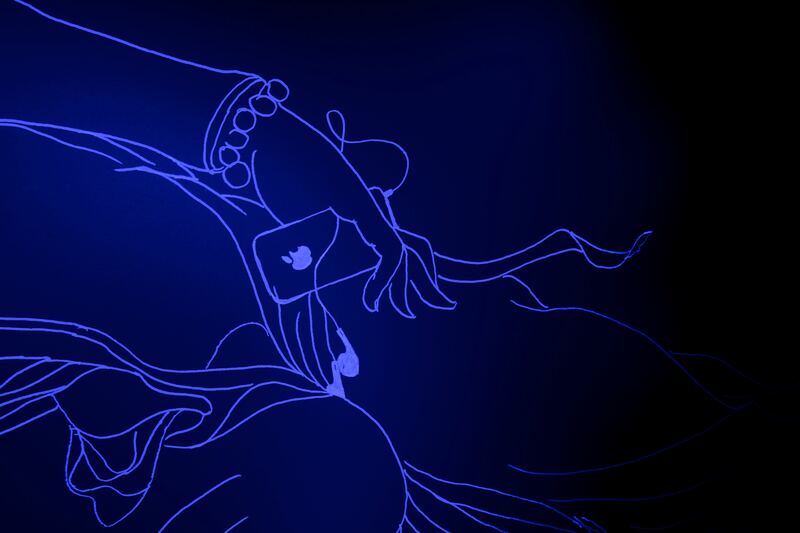 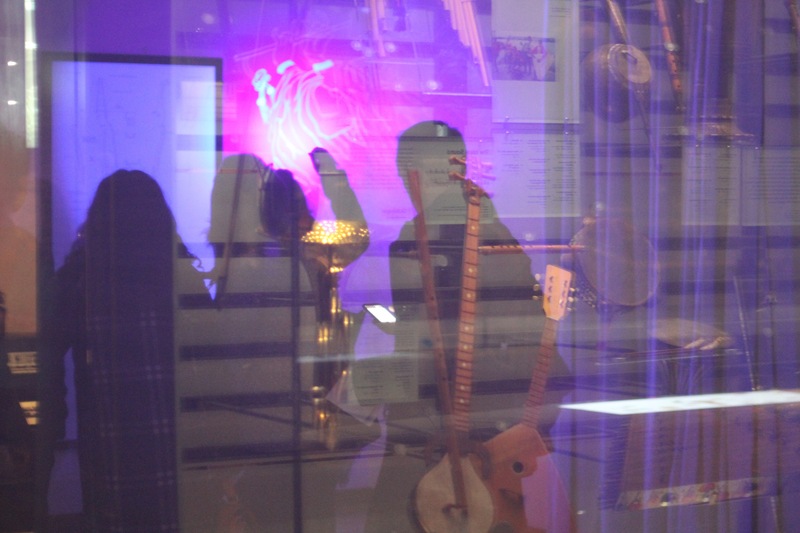 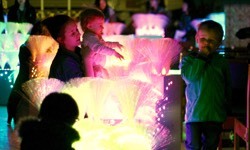 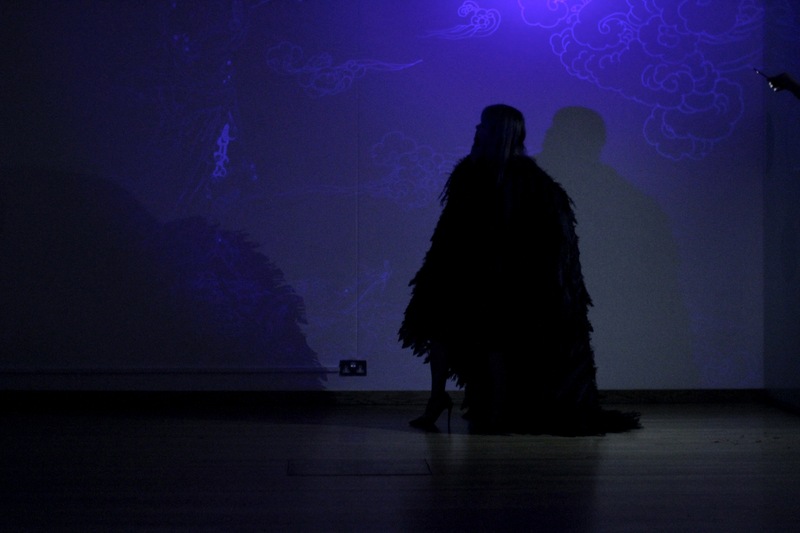 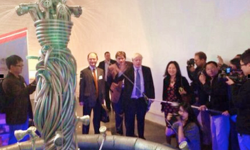 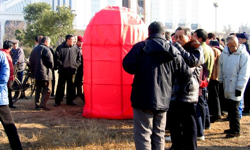 Aowen's works attempt to create a direct connection between traditional art and modern technology, and especially the means with which cultures can communicate using technology. 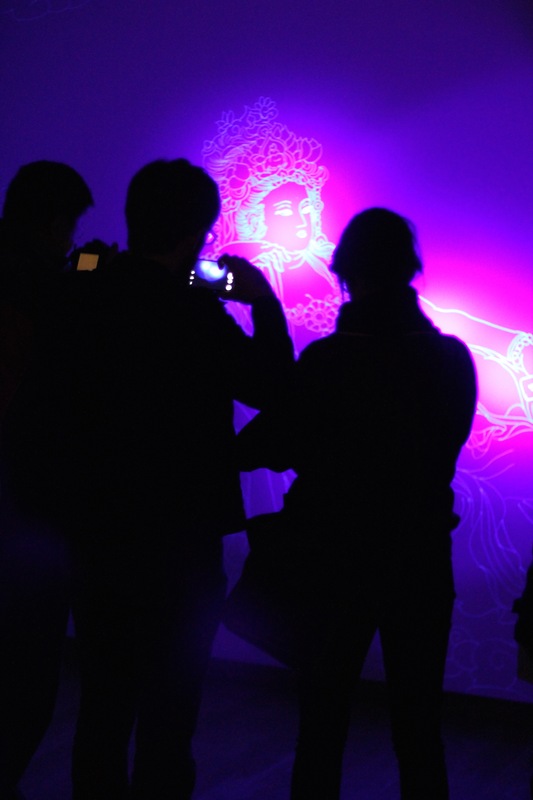 This is especially relevant to the Horniman, which was created by tea trader Frederick John Horniman - a man on the cusp of early globalisation 155 years ago - with the aim of connecting Chinese culture to British audiences. 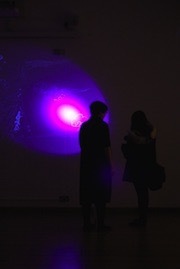 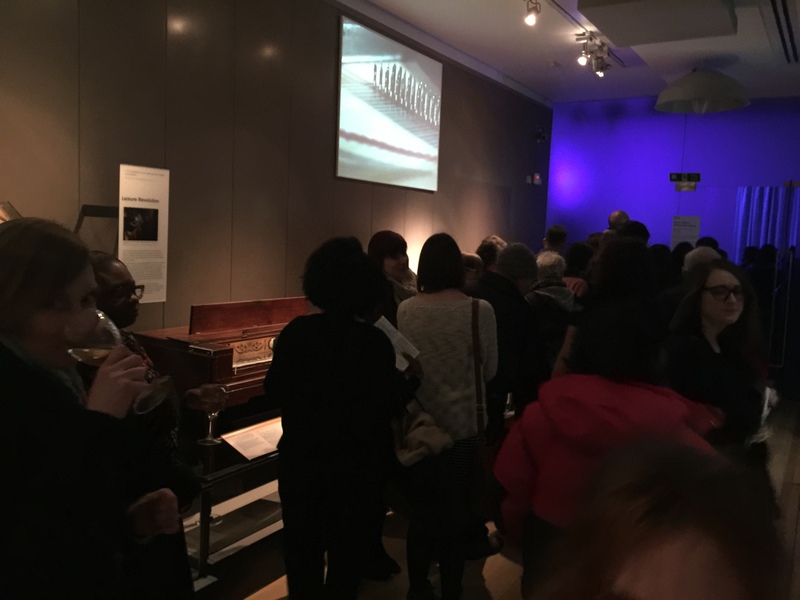 To experience Aowen's unique artworks, please keep an eye on the museum programme for future events, or get updates from Aowen's newsletter. 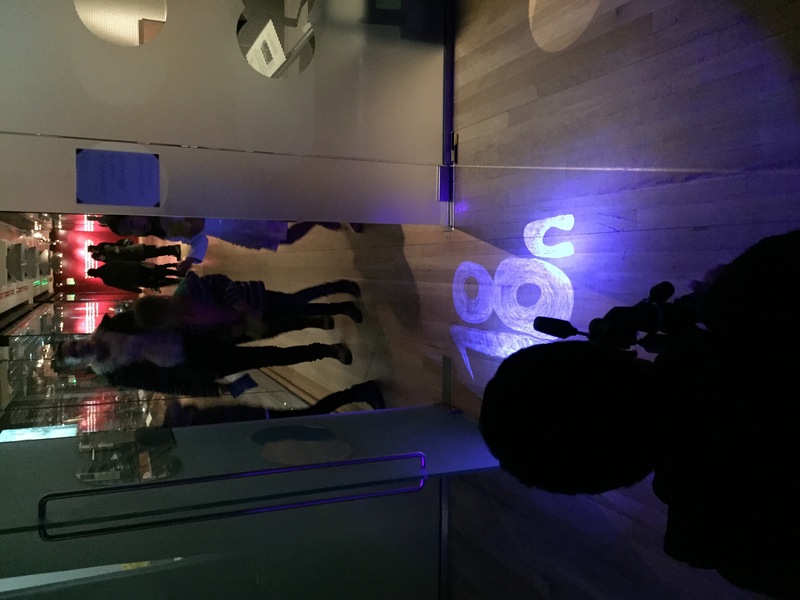 Special Thanks: The works would not have been possible without the help of Marie Klimis, Programme Coordinator at the Horniman Museum and Gardens. 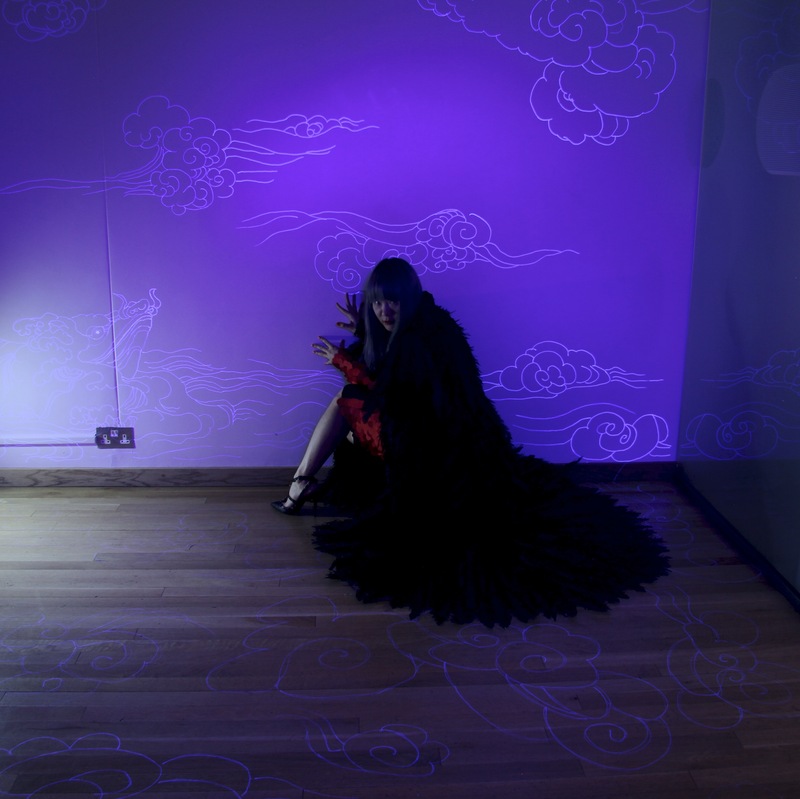 Photography was produced in collaboration with Sony World Fashion Photography Award winner Jayden Tang, Jamie Brown and Dom Hu. Opening Event clothing was provided by designer John Herrera. 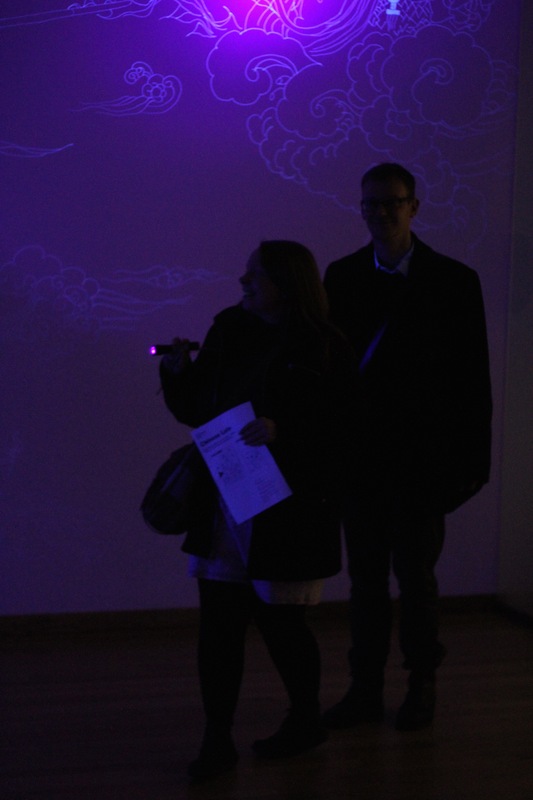 Horniman Museum and Gardens, London, February 2015.